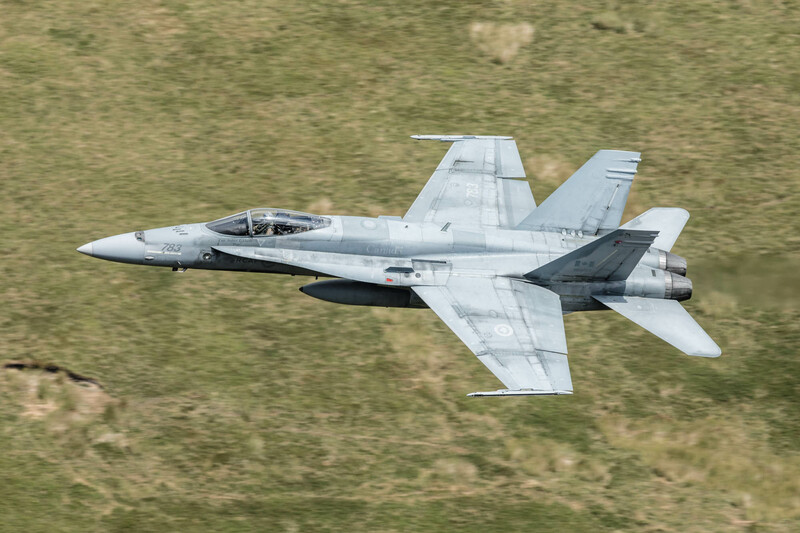 Royal Canadian Air Force CF-188 Hornet (188783) using callsign 'Hornet 1' from July 2018 on its way to Fairford (RIAT) via the Mach' Loop. 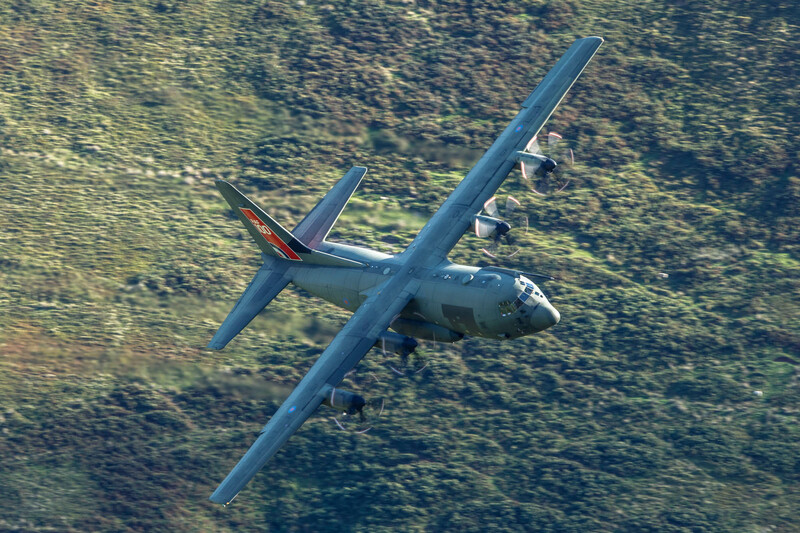 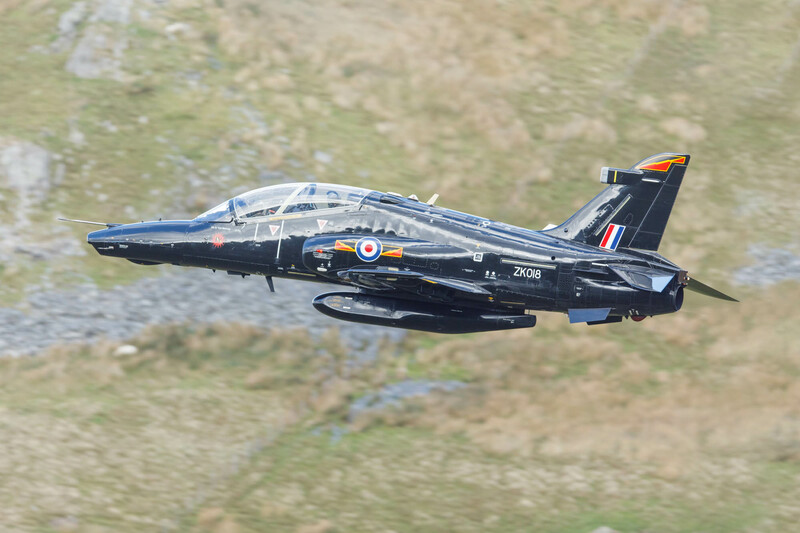 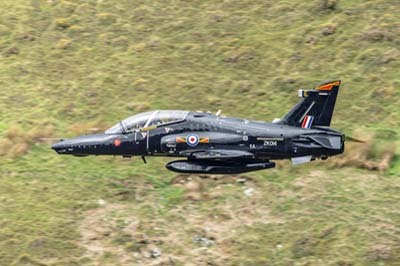 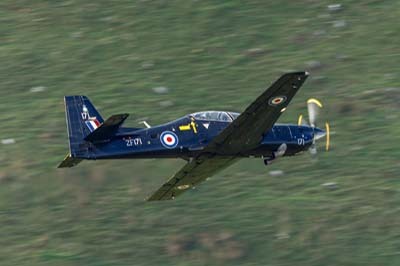 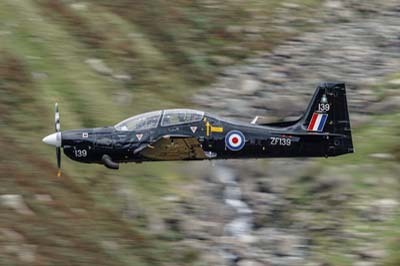 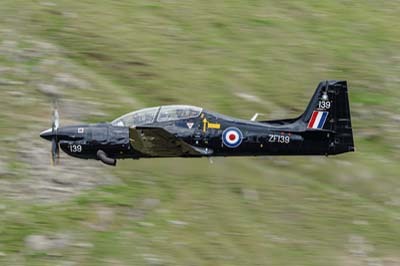 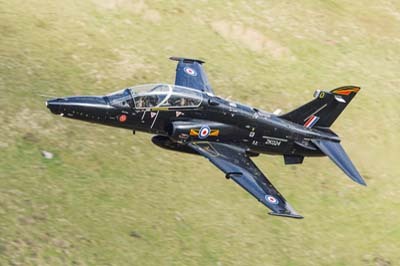 Wednesday November 14, 2018 A quiet day in the Lakes with a Wildcat and Tucano which was high. 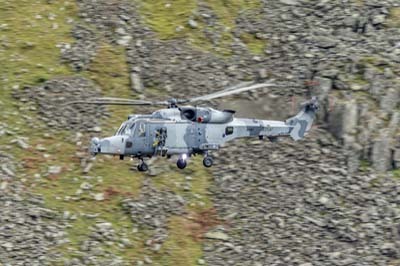 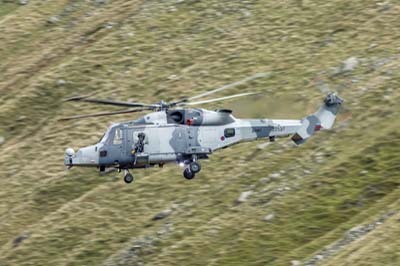 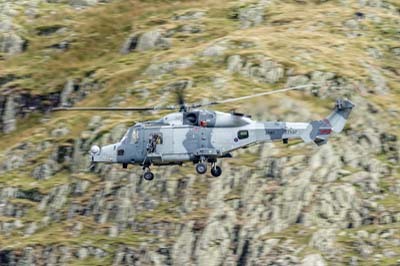 Left to right: Agusta-Westland AW-159 Lynx Wildcat AH.1 (ZZ527) using callsign 'Marine 11' with 847 Naval Air Squadron flying from RNAS Yeovilton to Prestwick. 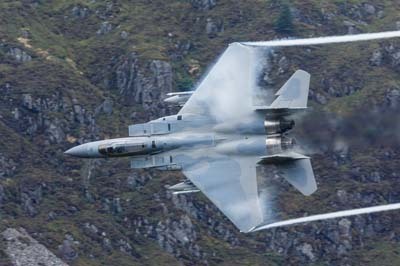 Thursday October 18, 2018 Solid blue skies all day but only two pairs of Hawks and one pair was high. 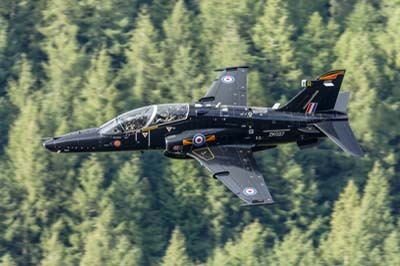 Left to right: Hawk T.2s (ZK021 'L', ZK020 'K' and ZK015 'F') of IV(AC) Squadron. 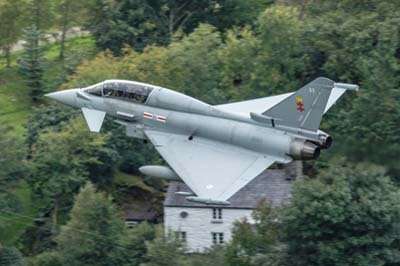 Wednesday October 10, 2018 A quiet day bright day with no RAF jets, but three USAFE aircraft to make the day worthwhile. 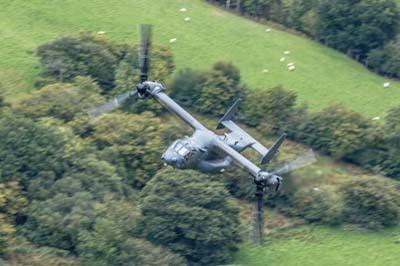 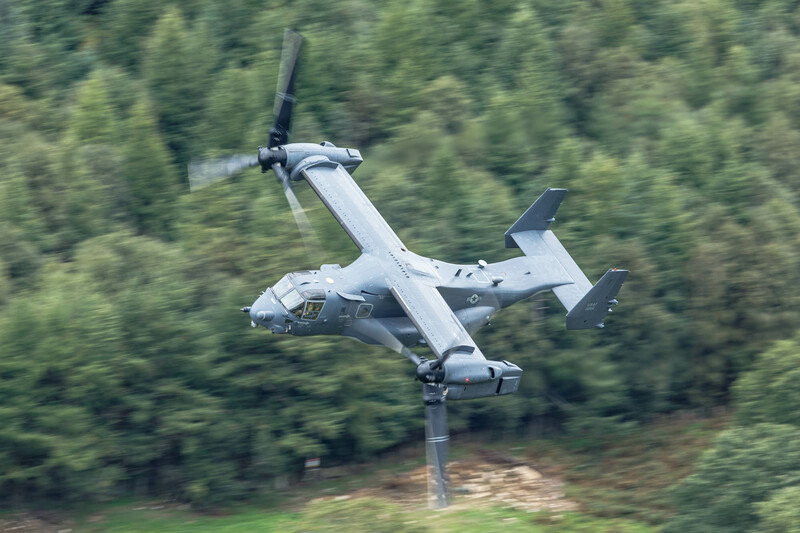 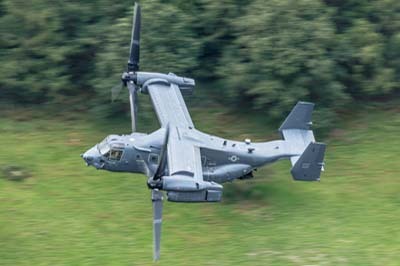 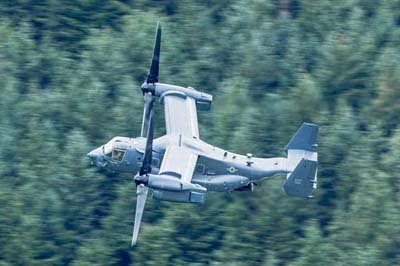 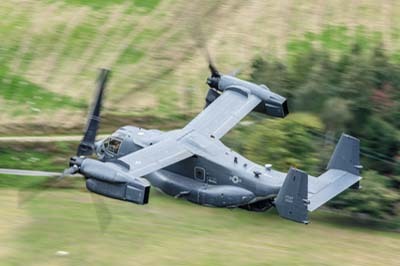 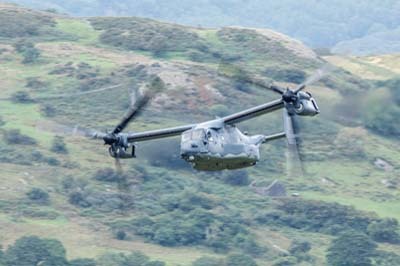 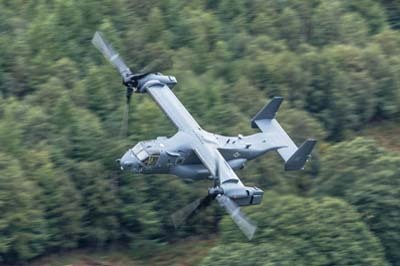 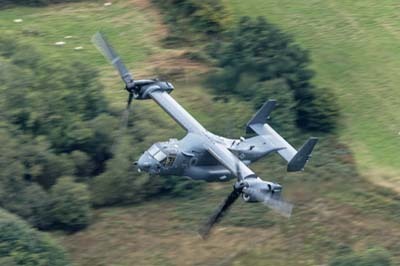 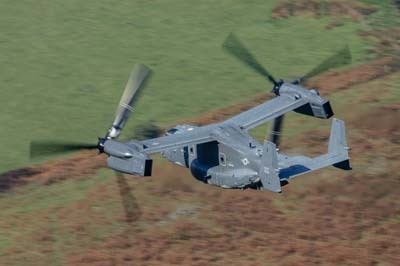 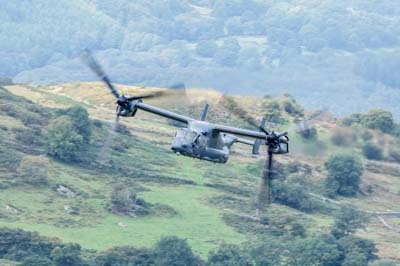 Left to right: Bell CV-22B Osprey (11-0058) using callsign 'Knife 71' from the 7th Special Operations Squadron based at RAF Mildenhall. 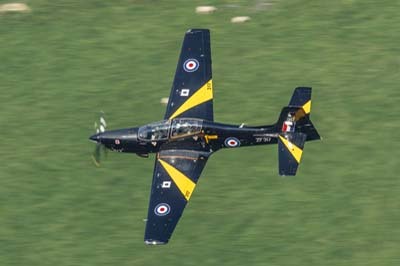 Left to right: Tucano T.1 (ZF239 '239') with 72(Reserve) Squadron based at RAF Linton-on-Ouse. 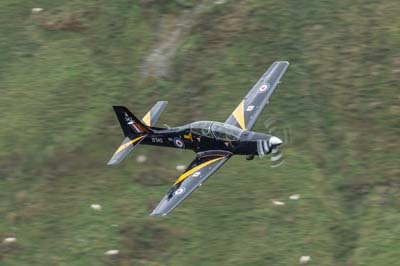 Left to right: Tucano T.1 (ZF317 '317') with 72(Reserve) Squadron based at RAF Linton-on-Ouse. 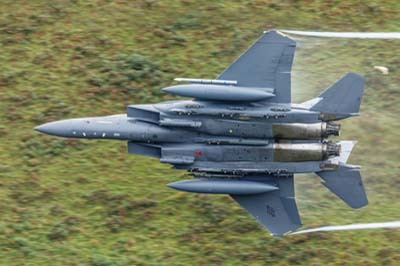 Left to right: F-15E Strike Eagle (91-306 'LN') using callsign 'Wild 71' with 492 FS, 48 FW. 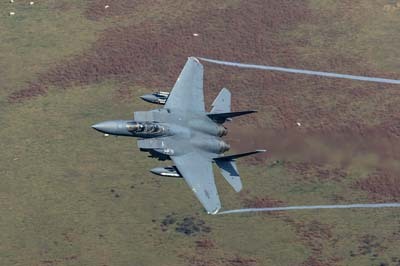 F-15E Strike Eagle (91-306 'LN') with mission marks, using callsign 'Wild 71' with 492 FS, 48 FW. 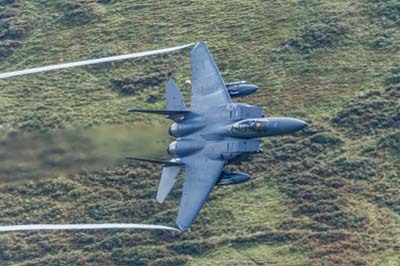 Left to right: F-15E Strike Eagle (91-306 'LN' and 98-133 'LN') using callsign 'Wild Flight' with 492 FS, 48 FW. 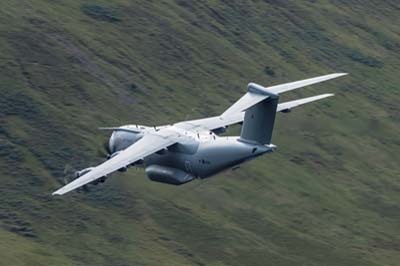 Tuesday October 9, 2018 A long day with just a few Hawks which appeared to frighten off a USAF C-17 before two late afternoon single Typhoons. 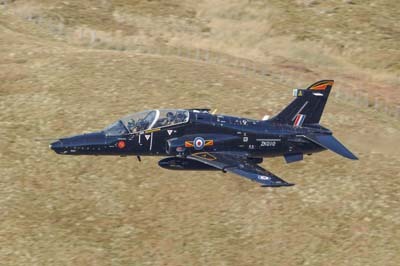 Left to right: Hawk T.2s (ZK010 'A' and ZK023 'N') of IV(AC) Squadron. 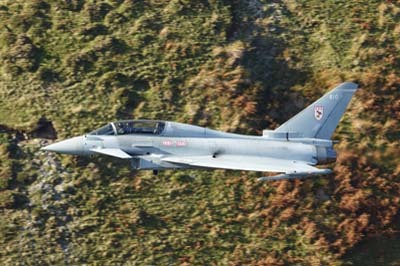 Left to right: Typhoon FGR.4 (ZJ942 '942') callsign 'Typhoon 2n'. 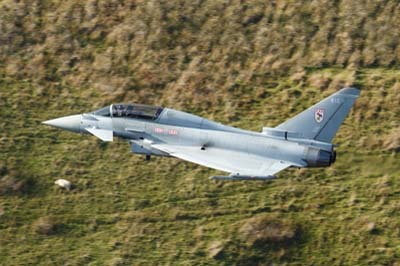 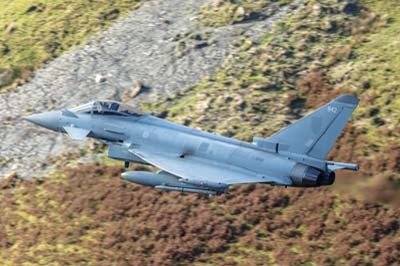 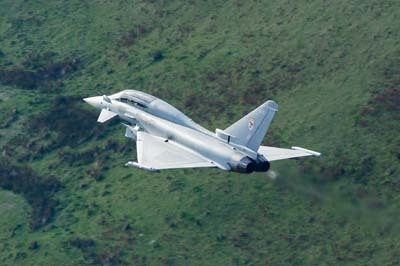 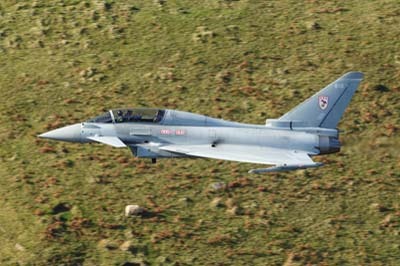 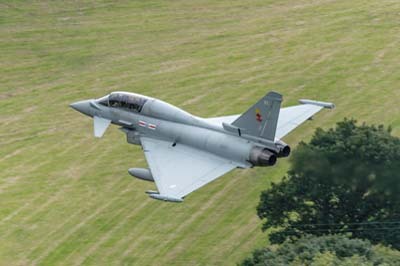 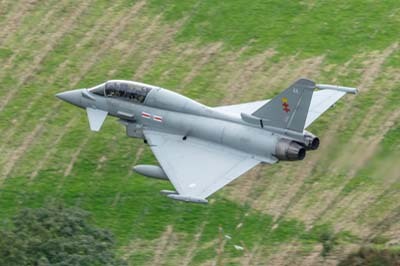 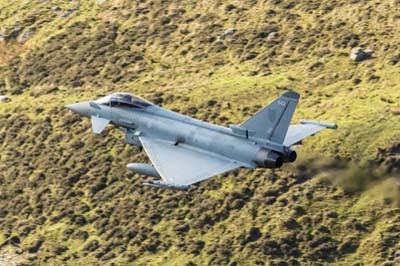 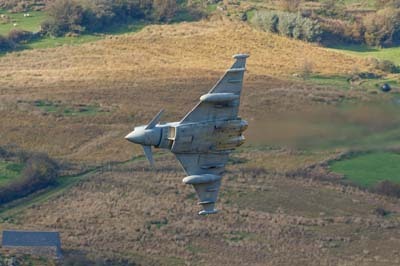 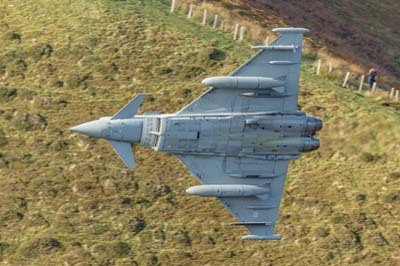 Left to right: Typhoon T.3 (ZJ810 '810') callsign 'Typhoon 111' with 29(R) Squadron. 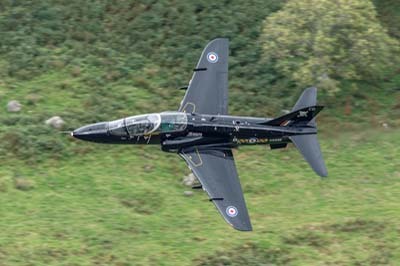 Monday October 1, 2018 A dull day spent on a lower 'shelf' which worked well for the Hawks and the Hercules today, but not for a Tornado which came through 'high' twice. 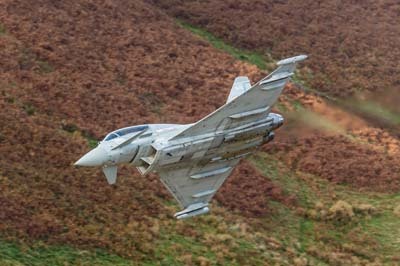 A Typhoon came through the west side of the Loop but missed out the northern part. 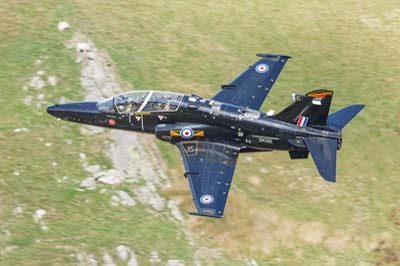 Left to right: Hawk T.2s (ZK024 'O' and ZK012 'C') of IV(AC) Squadron. 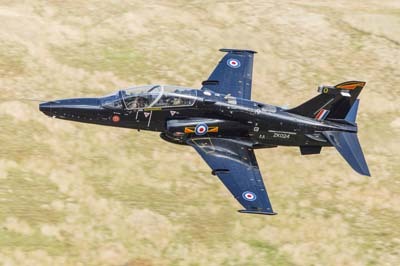 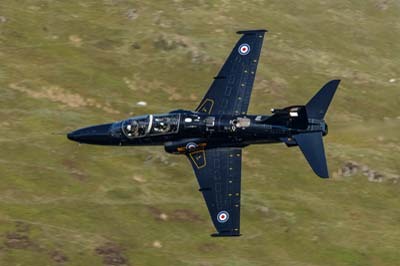 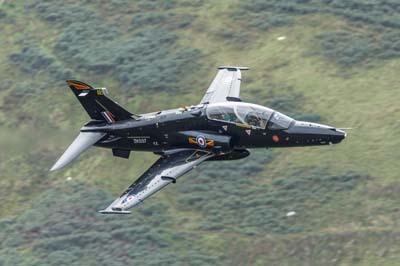 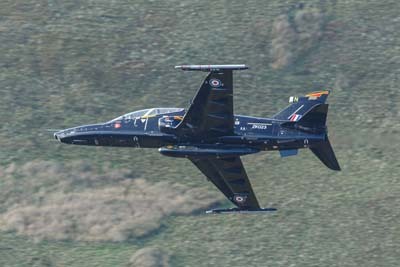 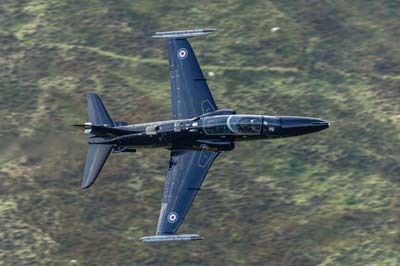 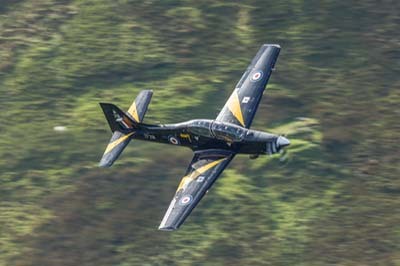 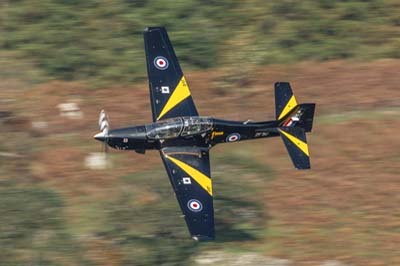 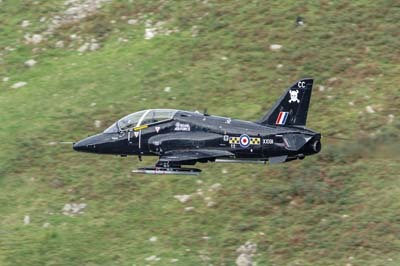 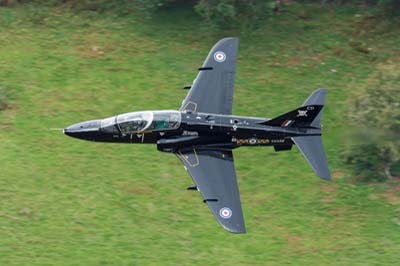 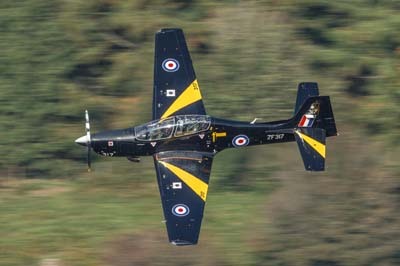 Hawk T.2 (ZK018 'I') of IV(AC) Squadron. 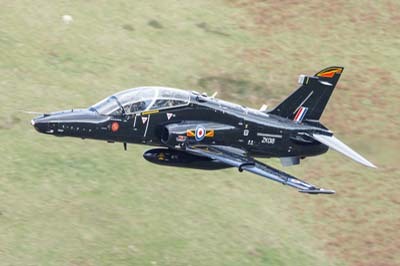 Left to right: Hawk T.2s (ZK018 'I' and ZK027 'R') of IV(AC) Squadron. 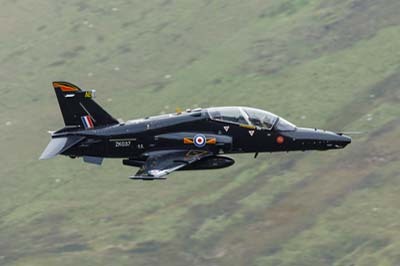 Left to right: Hawk T.2s (ZK036 'AA') of IV(AC) Squadron. 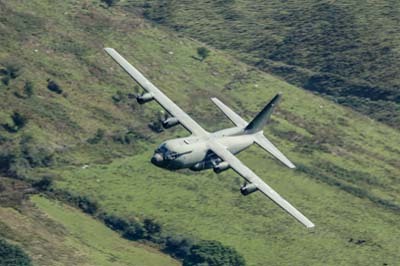 Left to right: C-130J Hercules C.5 (ZH889) of Brize Norton Transport Wing (24/30/47 Squadrons) using callsign 'Ascot 187'. 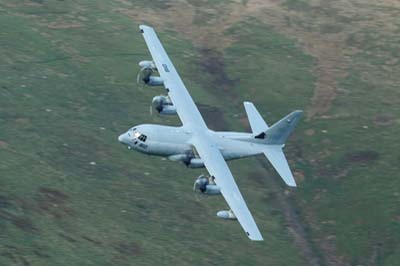 Left to right: C-130J Hercules C.5 (ZH889) of Brize Norton Transport Wing (24/30/47 Squadrons). 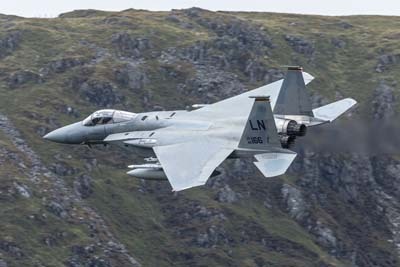 Monday September 17, 2018 A pair of Fangs 01 and 02 passing through the Lakes. 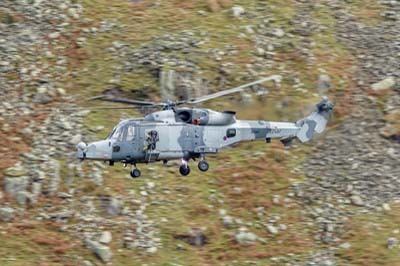 These images were taken from Dunmail East, my first time up this side since the footbridge was washed away. 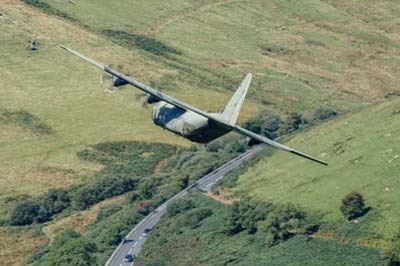 It is now a challenge to get over the beck. 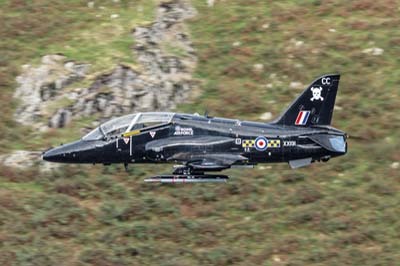 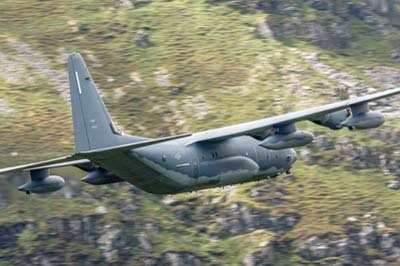 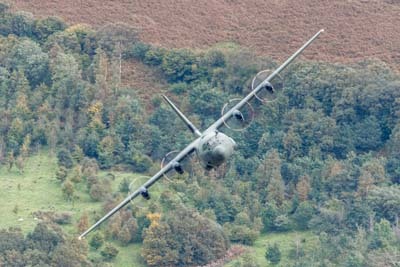 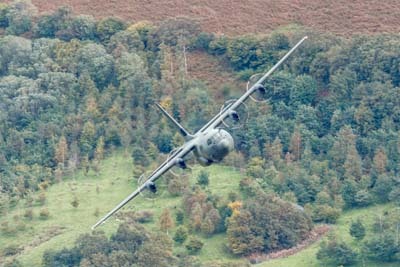 The cloud base was very low with low flying at is best. 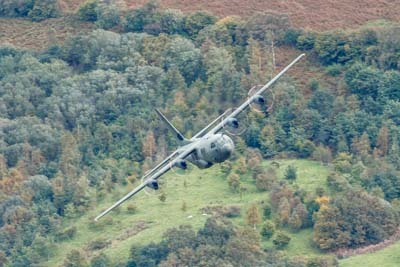 I left a few hours later as the weather further deteriorated. 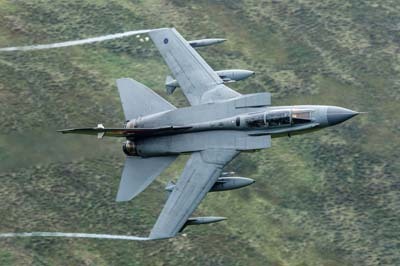 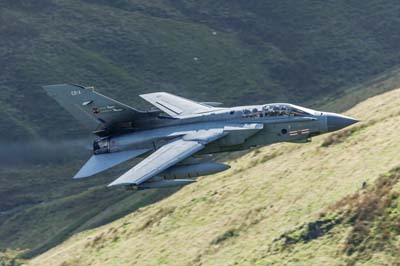 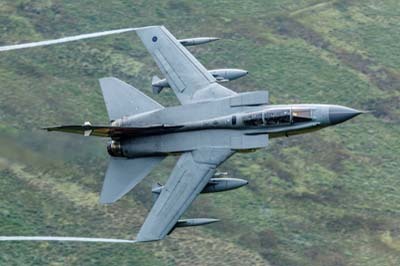 Left to right: Tornado GR.4 (ZA553 '045') using callsign 'Fang 01'. 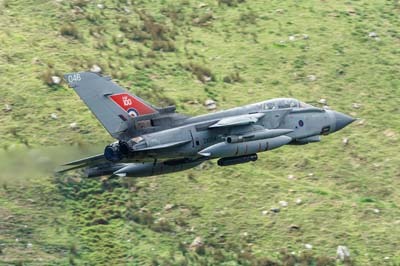 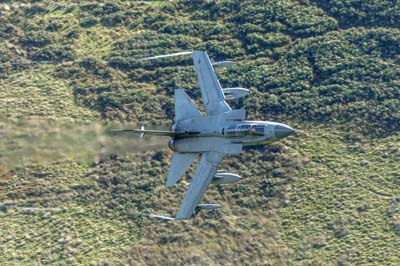 Left to right: Tornado GR.4 (ZA614 '076') using callsign 'Fang 02'. 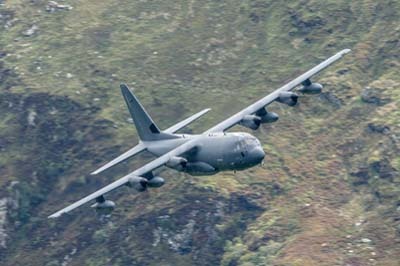 Thursday September 13, 2018 One of the better days in the Loop with so many rarely seen aicraft. 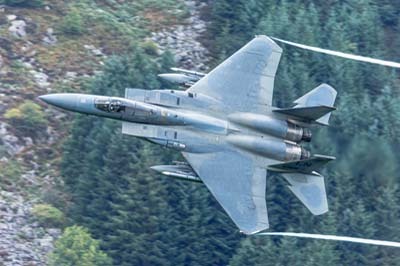 A seldom seen BAE Systems Typhoon, four F-15C Eagles, an Osprey with multiple low passes. 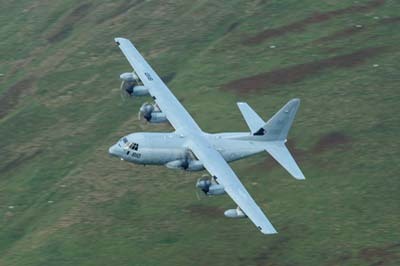 The rarest yet was a pass of a USMC KC-130J Hercules flying from Stuttgart via a brief fuel stop at Mildenhall to the Loop. 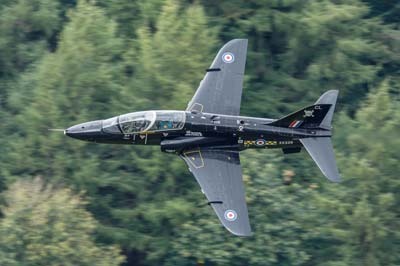 Left to right: Hawk T.1s (XX332 'CD' and XX339 'CL') using callsigns 'Cutthroat 1 and 2' with 100 Squadron from RAF Leeming. 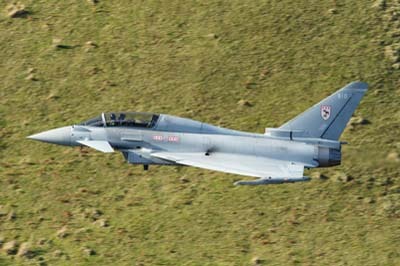 Left to right: Typhoon T.3 (ZK303 'AX') using callsign 'Tarnish 29' it is in the colours of 41 Squadron but operated by BAE Systems at BAE Warton. 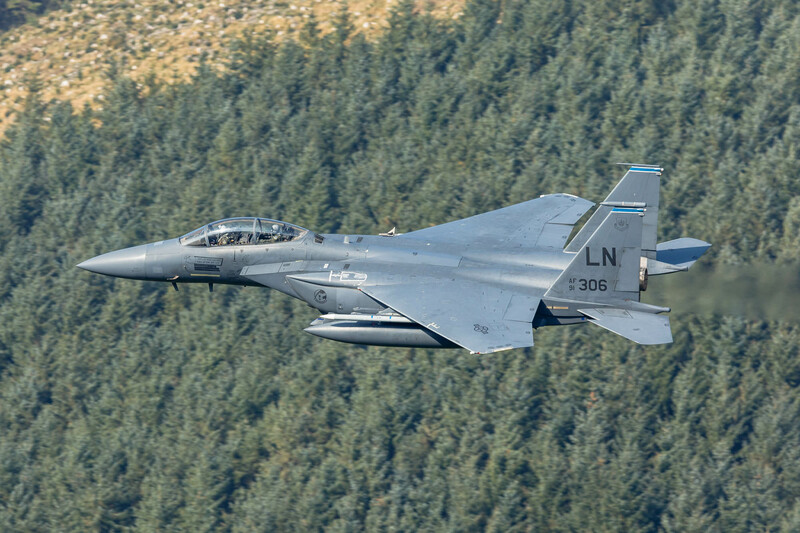 F-15C Eagle (86-166 'LN') using callsign 'Bullet 13' of 493 FS, 48 FW. 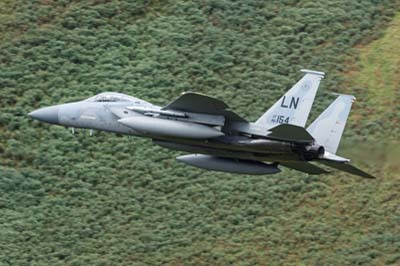 Left to right: F-15C Eagle (86-166 'LN') using callsign 'Bullet 13' of 493 FS, 48 FW. 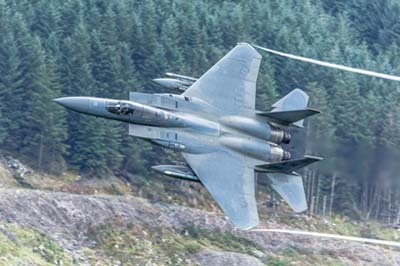 Left to right: F-15C Eagle (86-163 'LN') using callsign 'Bullet 14' of 493 FS, 48 FW. 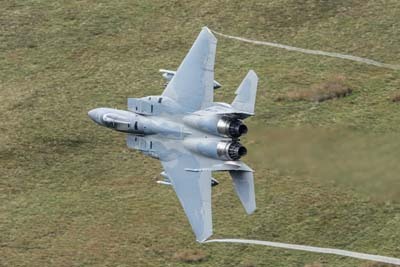 Left to right: F-15C Eagle (86-160 'LN') using callsign 'Bullet 11' of 493 FS, 48 FW. 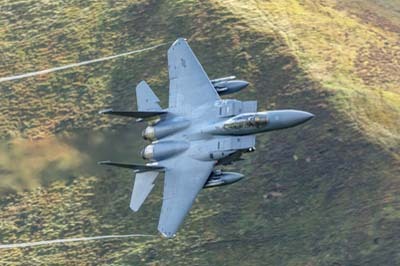 Left to right: F-15C Eagle (86-175 'LN') using callsign 'Bullet 12' of 493 FS, 48 FW. 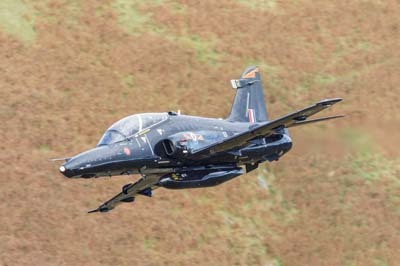 Left to right: Hawk T.2 (ZK027 'R') with IV(AC) Squadron. 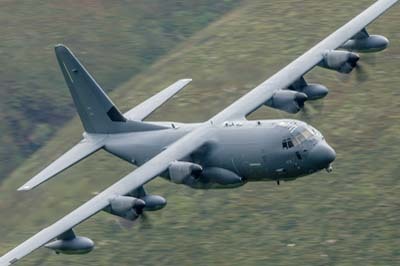 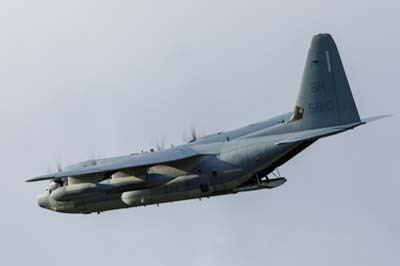 KC-130J Hercules (165810 'BH') using callsign 'Bronco 69' it is with USMC VMGR-252 based at MCAS Cherry Point, North Carolina. 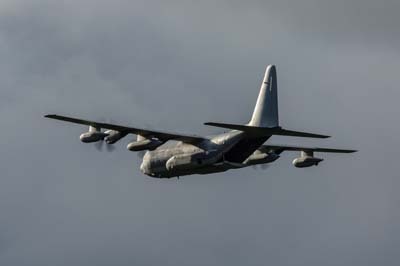 Left to right: Lockheed Martin KC-130J Hercules (165810 'BH') using callsign 'Bronco 69' it is with Marine Aerial Refueler Transport Squadron 252 (VMGR-252) United States Marine Corps (USMC) based at Marine Corps Air Station (MCAS) Cherry Point, North Carolina. 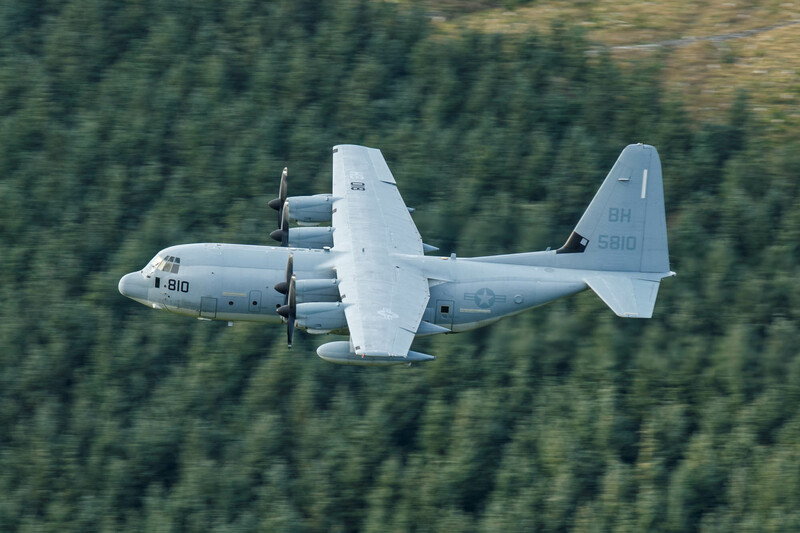 Left to right: KC-130J Hercules (165810 'BH') using callsign 'Bronco 69' it is with USMC VMGR-252 based at MCAS Cherry Point, North Carolina, it made some high passes including a turn up the dead end. 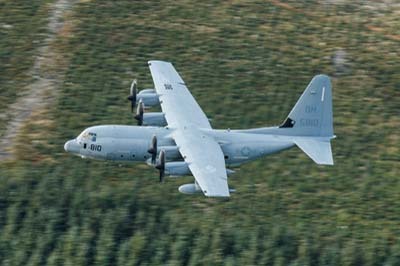 Left to right: KC-130J Hercules (165810 'BH') using callsign 'Bronco 69' it is with USMC VMGR-252 based at MCAS Cherry Point, North Carolina. 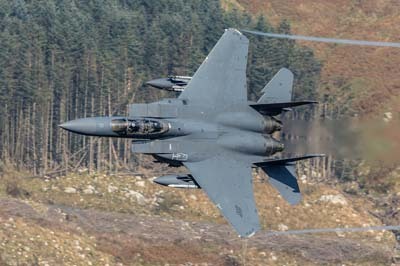 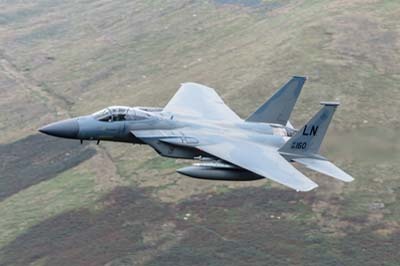 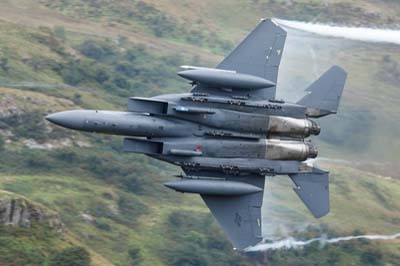 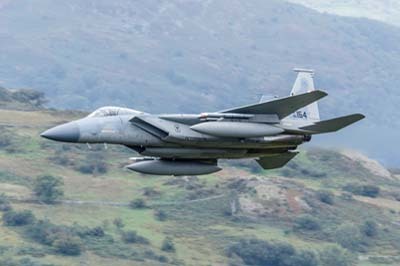 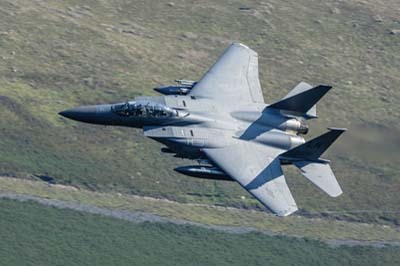 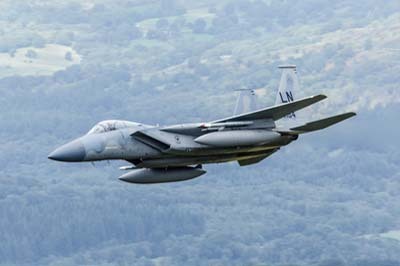 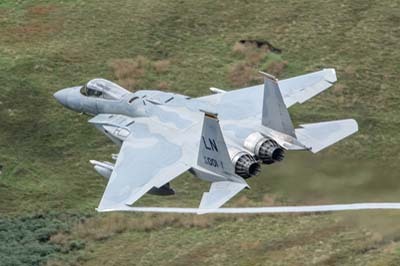 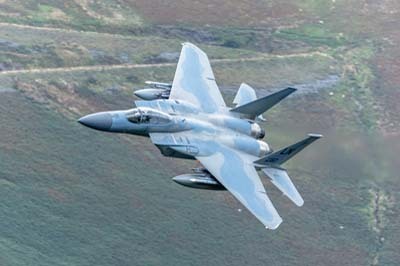 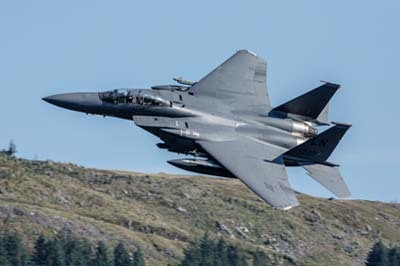 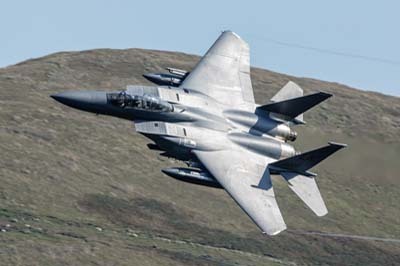 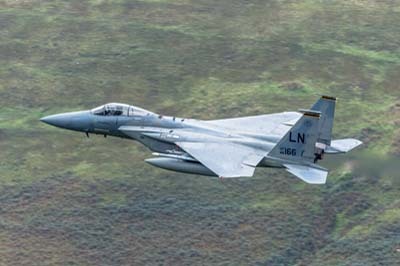 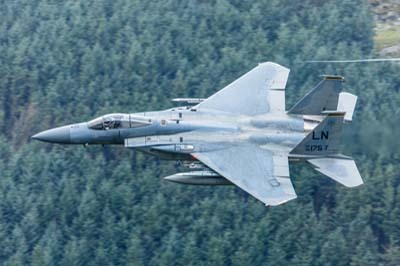 Wednesday September 12, 2018 The two pairs of frontliners (F-15Es and Tornados) appeared to have lost their flight leaders leaving just one from each flight for the Loop. 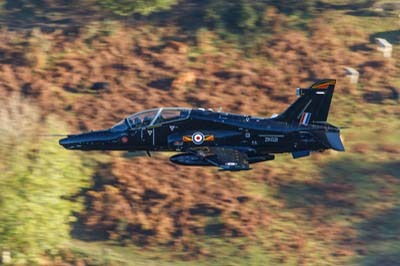 Left to right: Hawk T.2 (ZK034 'Y') with IV(AC) Squadron passing through the early morning mist. 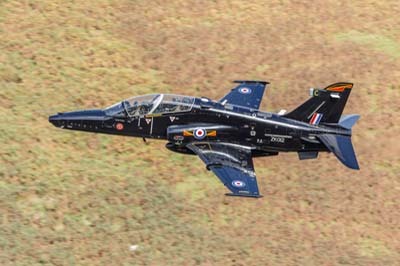 Left to right: Tucano T.1s (ZF291 '291' and ZF171 '171') with 72(Reserve) Squadron based at RAF Linton-on-Ouse. 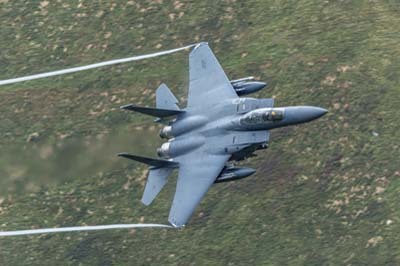 Left to right: F-15E Strike Eagle (91-302 'LN') using callsign 'Strike 12' with 492 FS, 48 FW. 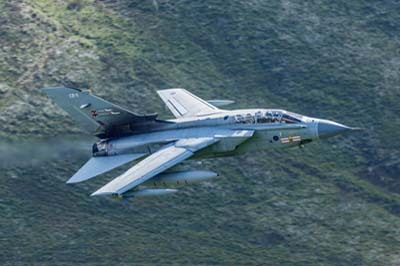 Left to right: Tornado GR.4 (ZA607 'EB-X') using callsign 'Monster 2' and still retaining its former 41(R) Test & Evaluation Squadron in special markings. 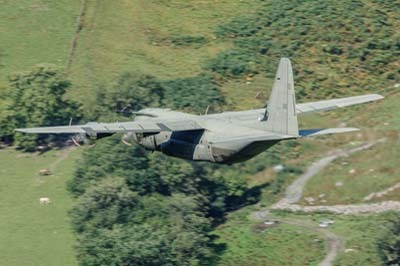 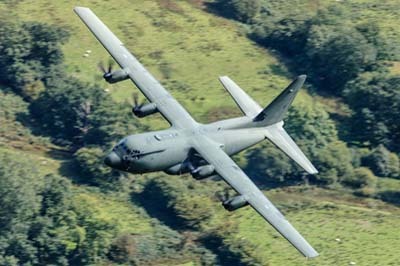 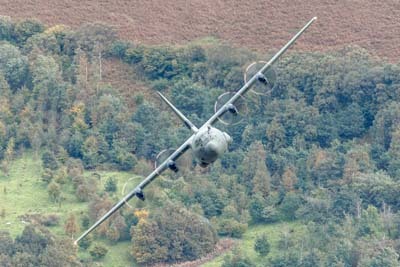 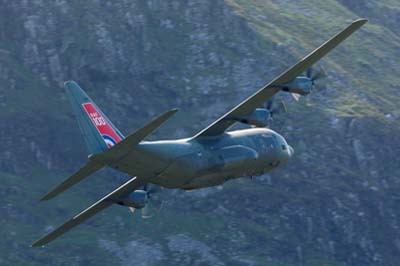 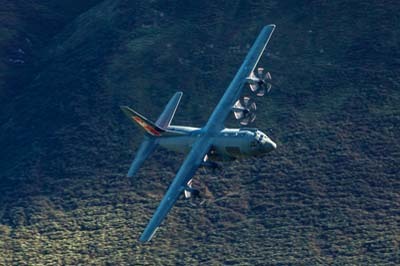 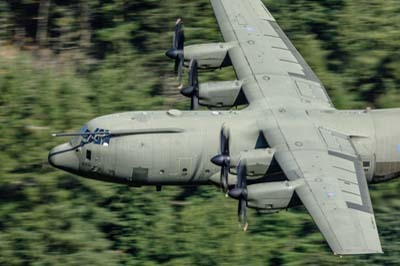 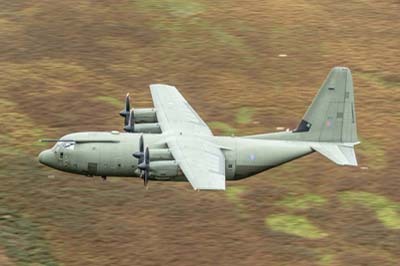 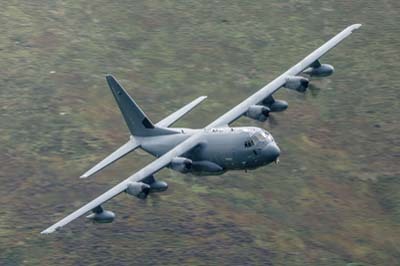 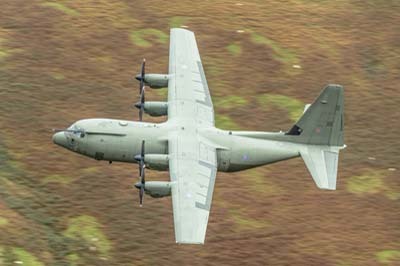 Left to right: C-130J Hercules C.5 (ZH887) with callsign 'Ascot 133' of 30 Squadron with RAF 100 'sticker'. 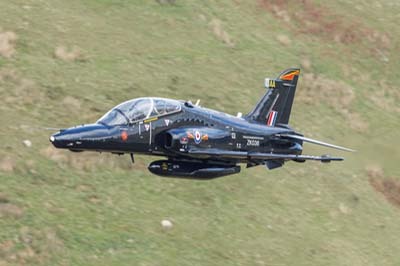 Left to right: Hawk T.2 (ZK014 'E') with IV(AC) Squadron. 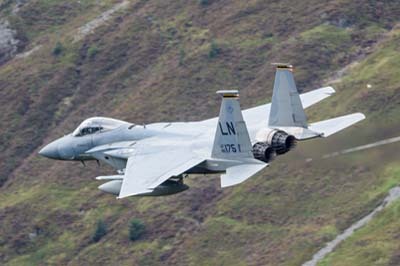 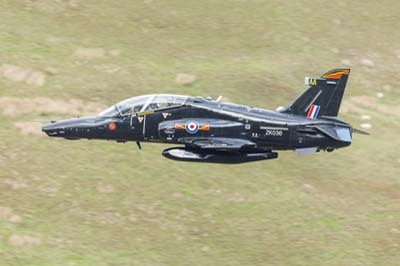 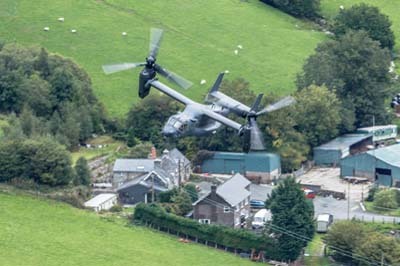 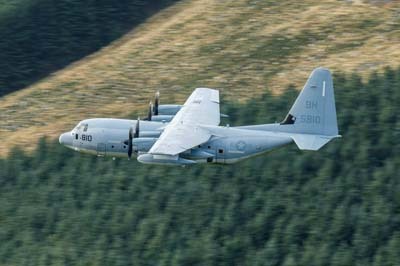 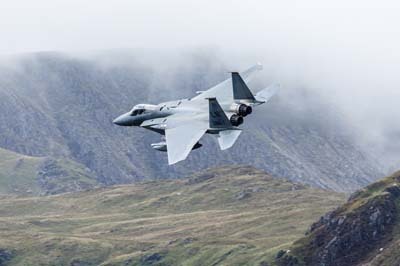 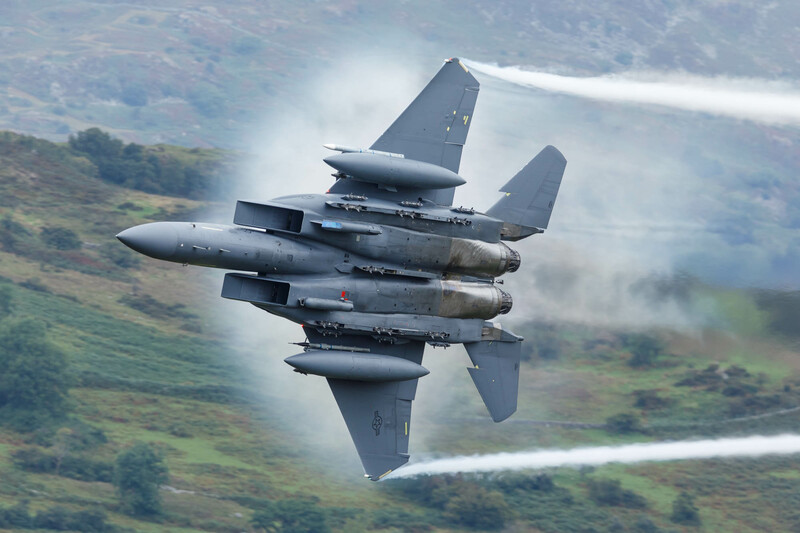 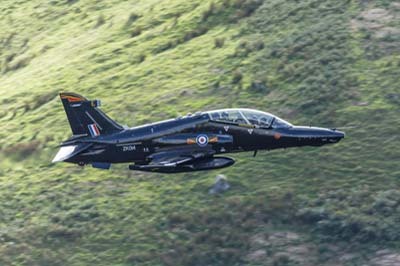 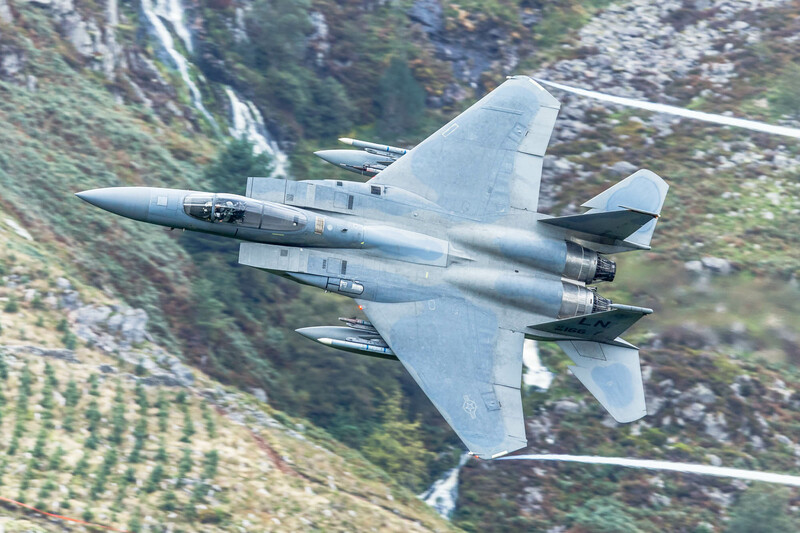 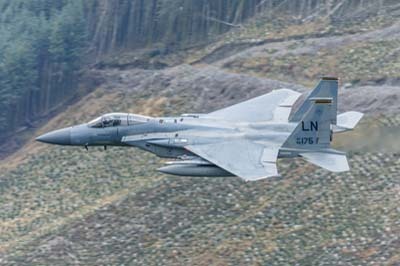 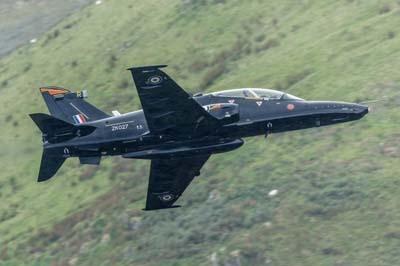 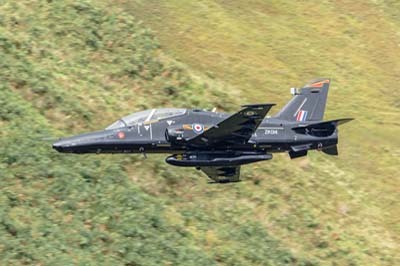 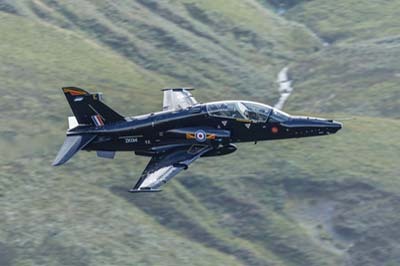 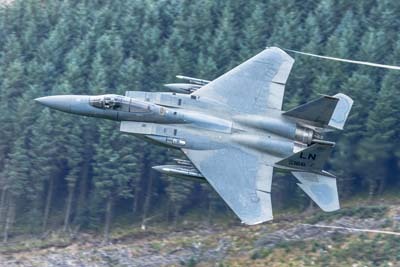 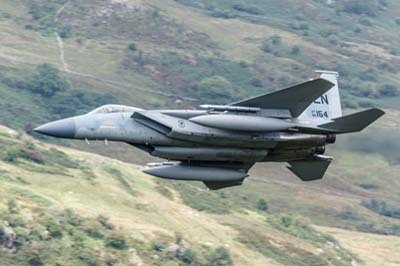 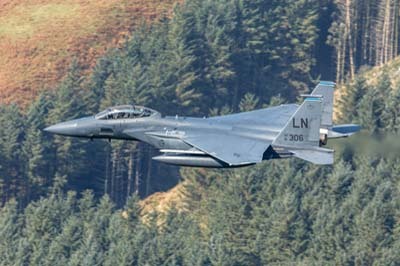 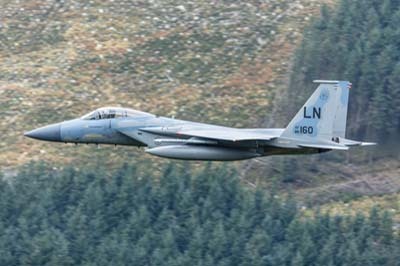 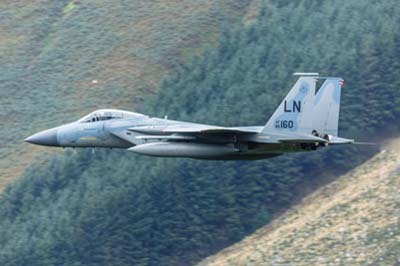 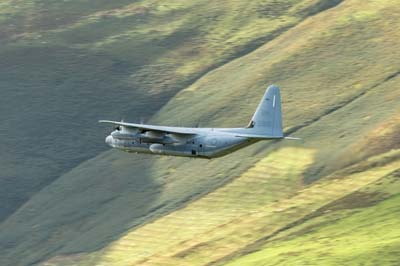 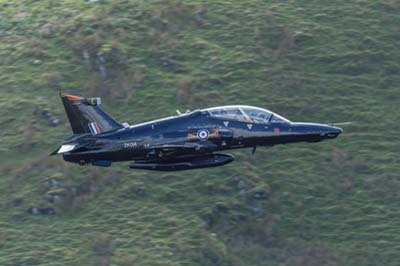 Monday September 10, 2018 The consisted of multiple passes from the pair of F-15Es "Entering the Mach Loop from the south, 500 feet, 500 knots" and the continued Tucano activity. 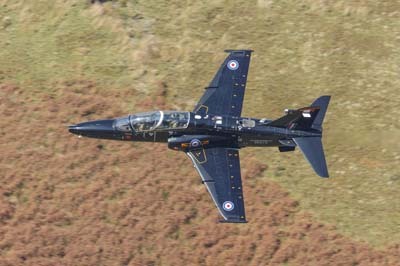 Left to right: Hawk T.2 (ZK037 'AB') with IV(AC) Squadron. 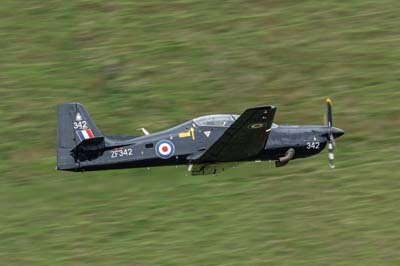 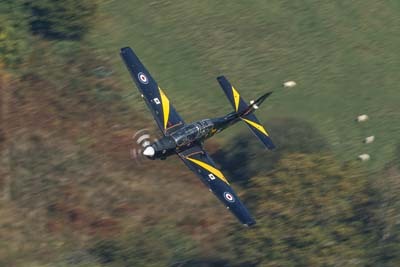 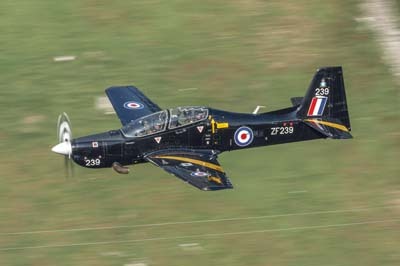 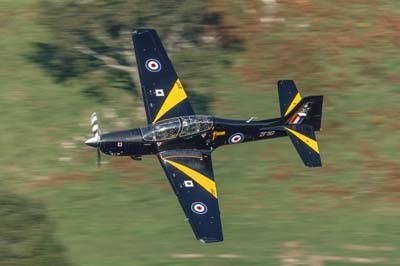 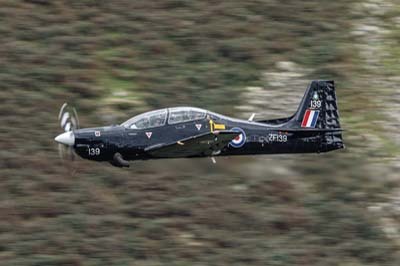 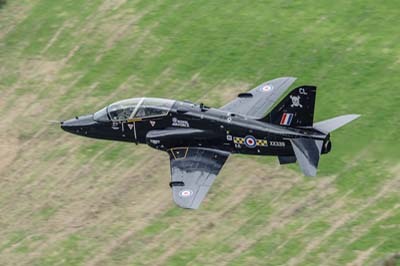 Tucano T.1 (ZF342 '342') with 72(Reserve) Squadron based at RAF Linton-on-Ouse. 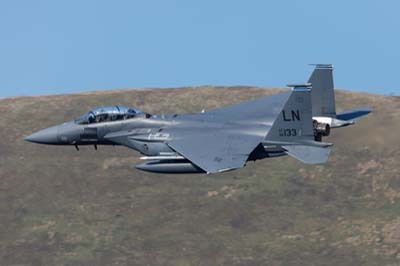 Left to right:F-15E Strike Eagle (91-307 'LN' and 91-332 'LN') using callsign 'Sniper 91 and 92' with 492 FS, 48 FW. 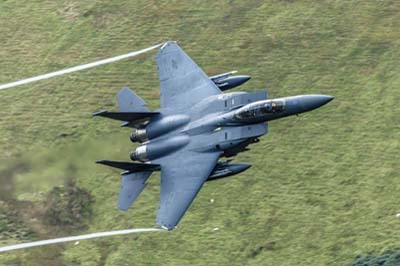 Left to right: F-15E Strike Eagle (91-307 'LN' and 91-332 'LN') using callsign 'Sniper 91 and 92' with 492 FS, 48 FW. 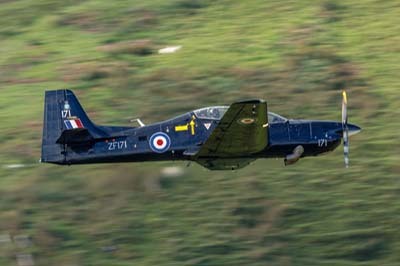 Thursday September 6, 2018 Back in the Lakes, but only a Tucano today. 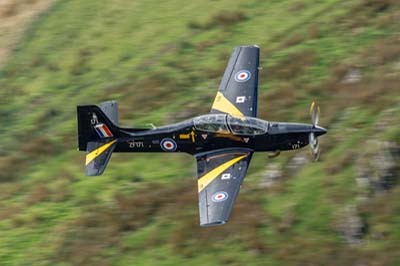 Left to right: Tucano T.1 (ZF139 '139') with 72(Reserve) Squadron based at RAF Linton-on-Ouse. 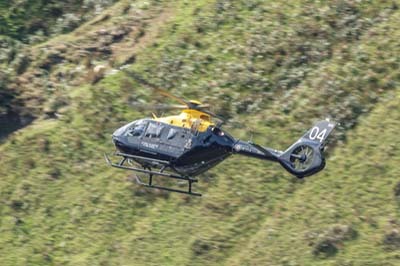 Raise Beck is in the background, running off Seat Sandal in the second image. 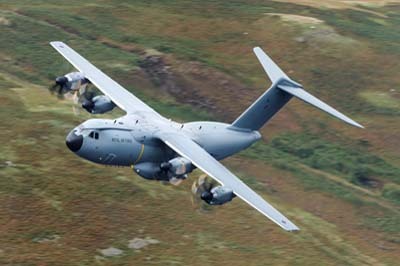 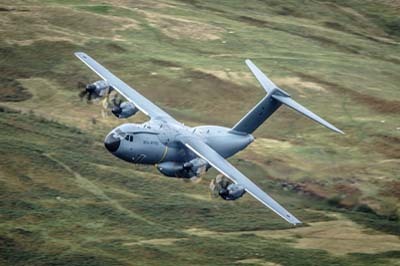 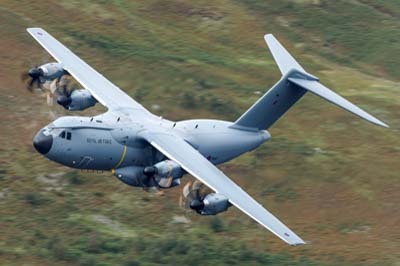 Airbus A400M Atlas C.1 (ZM417) using callsign 'Ascot 453' it is with 70 (LXX) Squadron based at RAF Brize Norton. 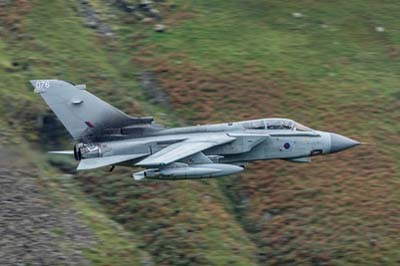 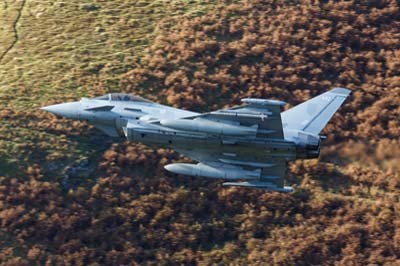 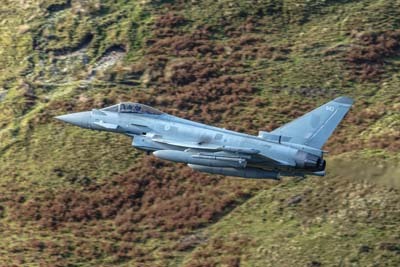 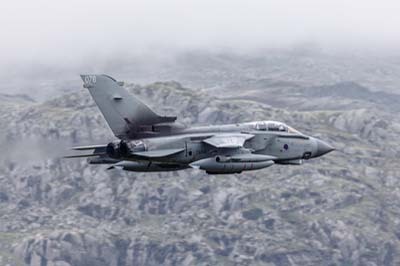 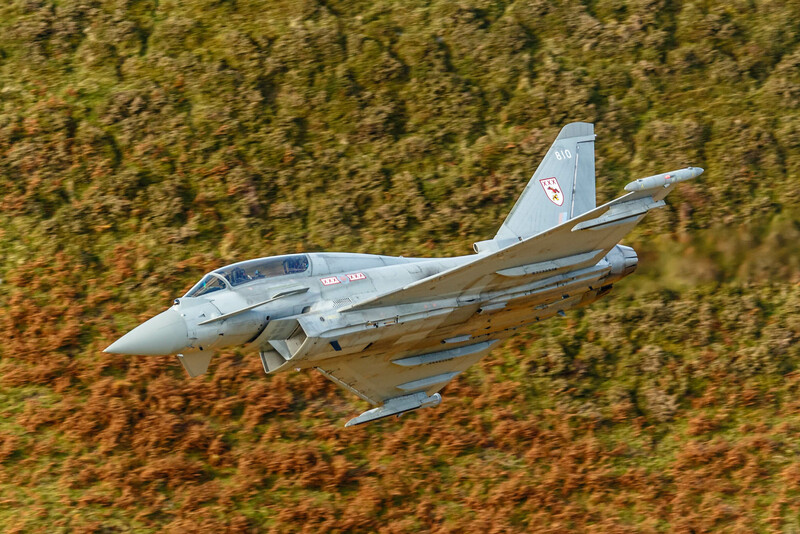 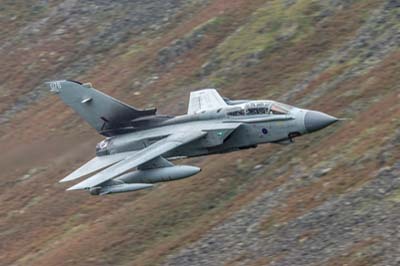 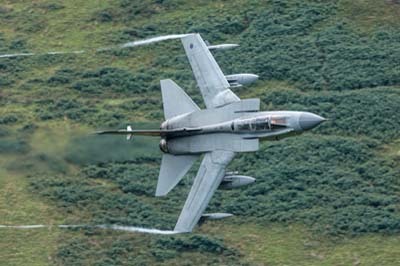 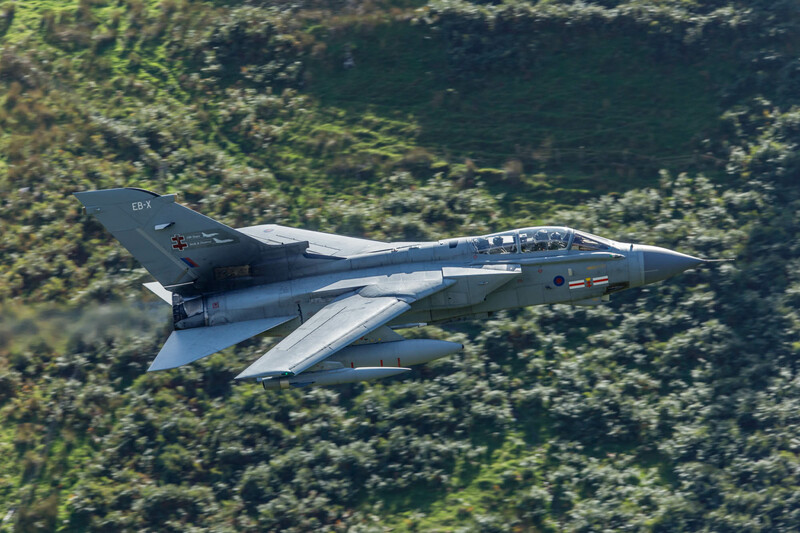 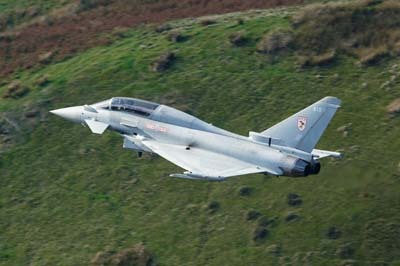 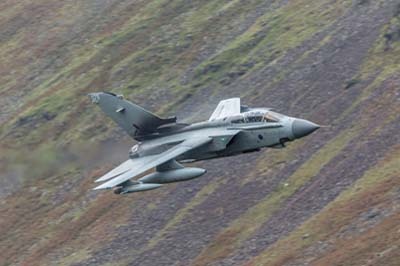 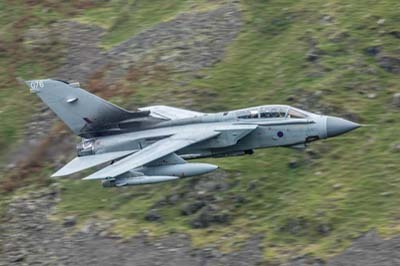 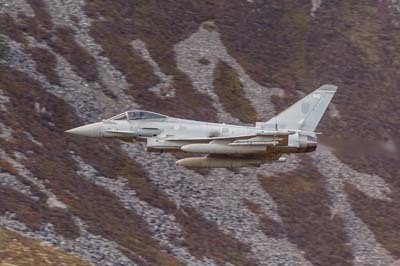 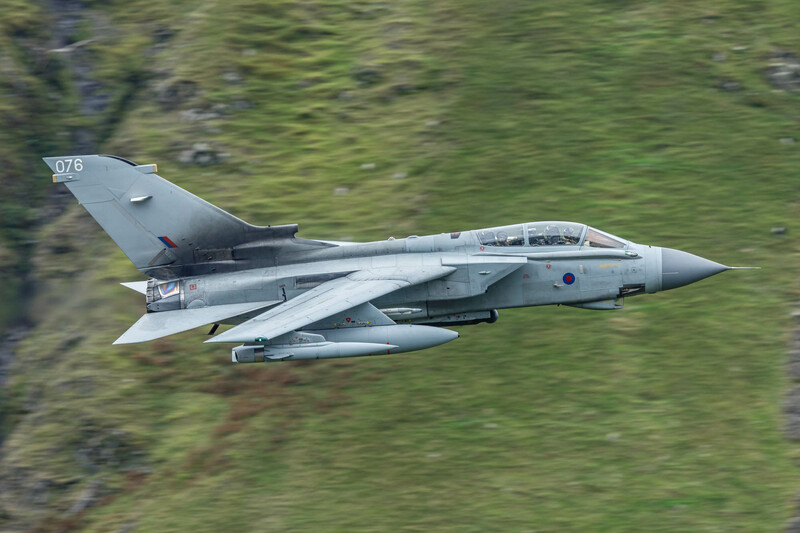 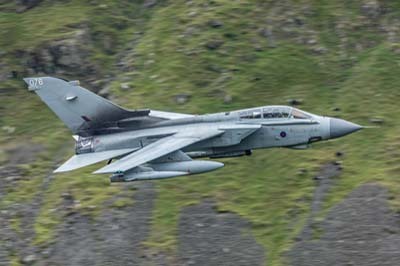 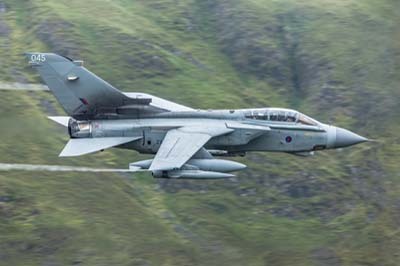 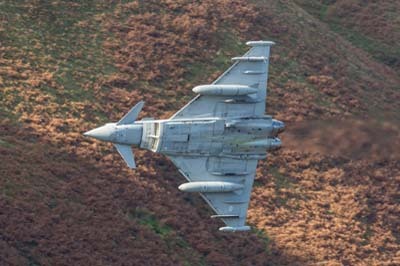 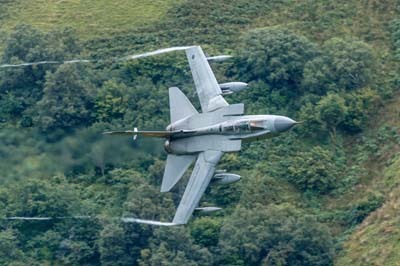 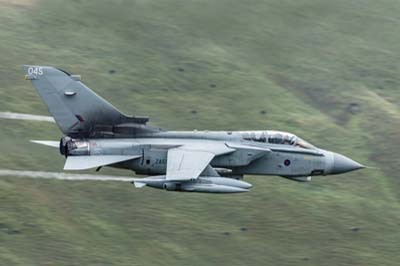 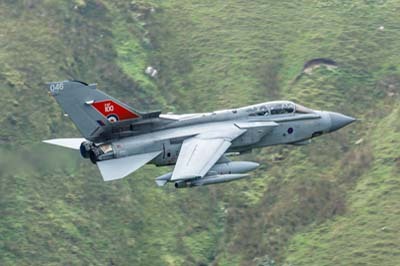 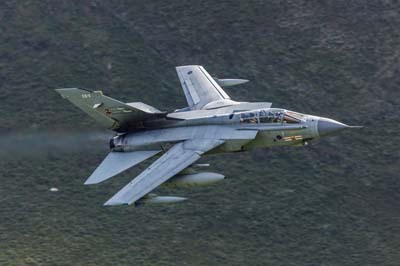 Wednesday September 5, 2018 A shortish trip to the Scottish Lowlands from the Cumbria but nearly a wasted journey with no OLF Tornado GR.4s taking up the 100 feet AGL TTA slots. 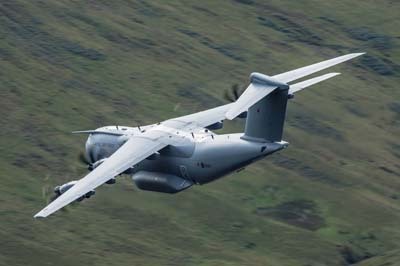 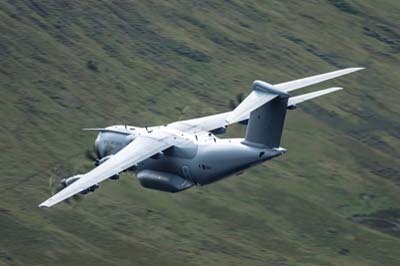 Left to right: A400M Atlas C.1 (ZM417) using callsign 'Ascot 453' it is with 70 (LXX) Squadron based at RAF Brize Norton. 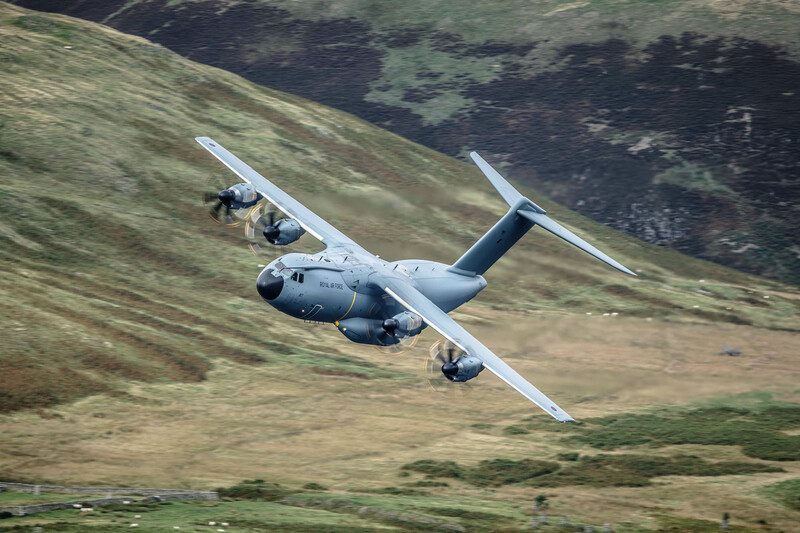 Left to right: Airbus A400M Atlas C.1 (ZM417) using callsign 'Ascot 453' it is with 70 (LXX) Squadron. 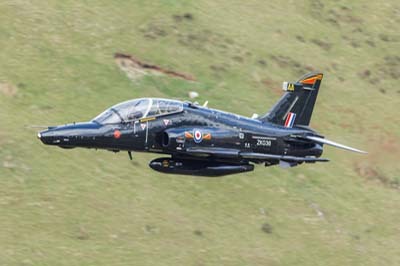 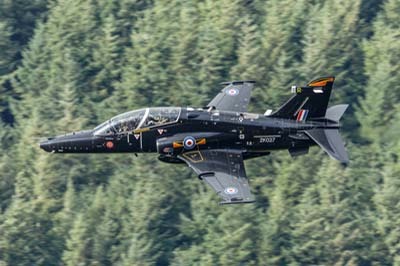 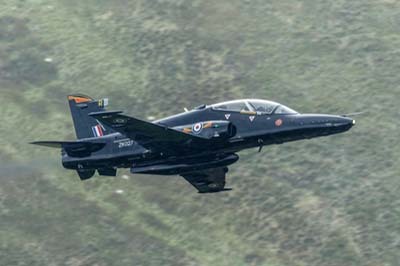 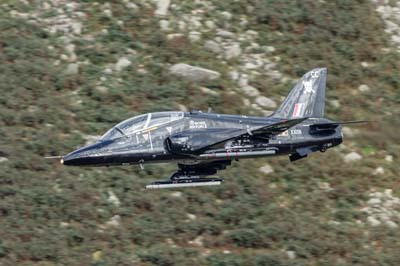 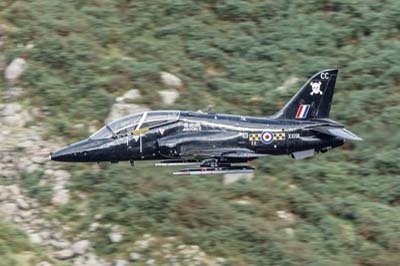 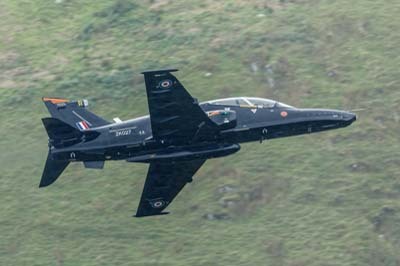 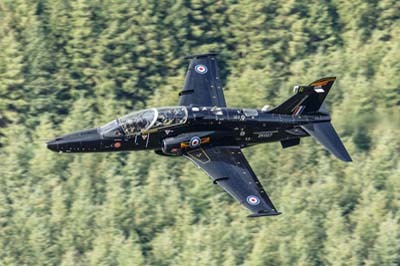 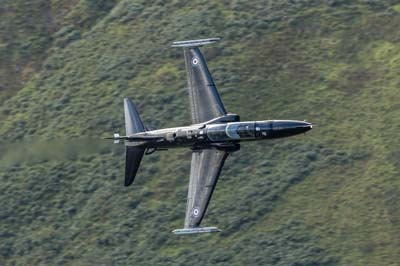 Tuesday September 4, 2018 Its been a while since I was in the Lake District at Thirlmere and now I know why, just a 100 Squadron Hawk T.1 to shoot for my effort. 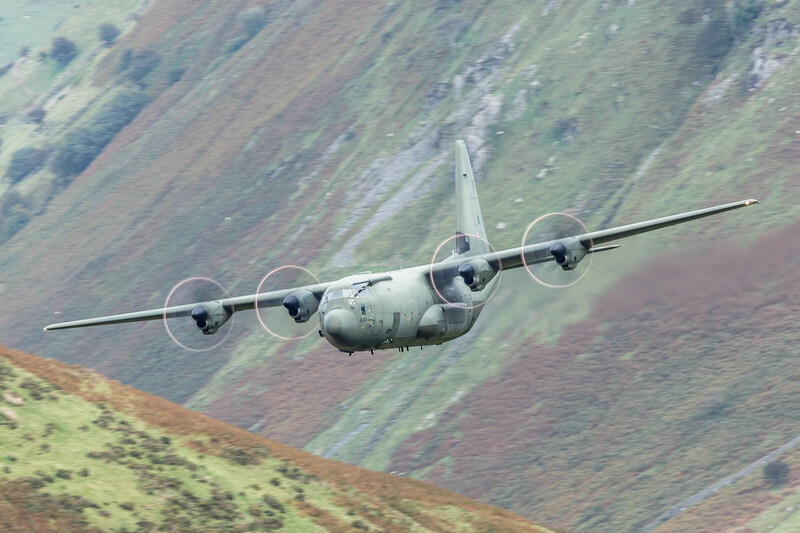 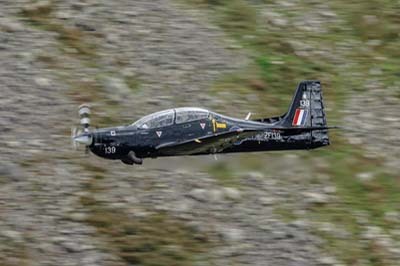 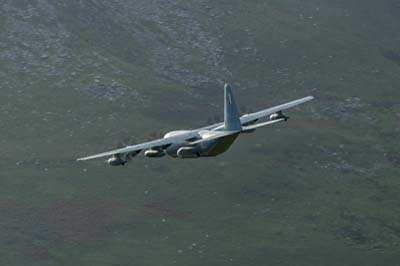 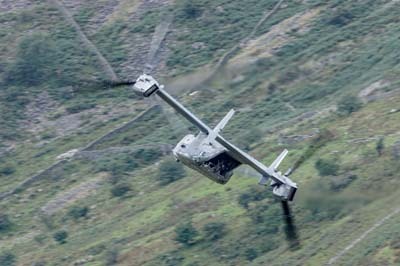 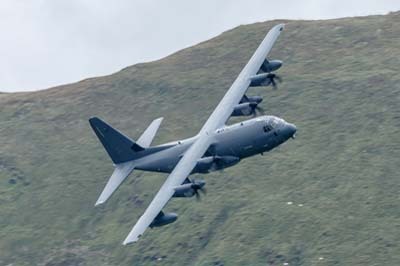 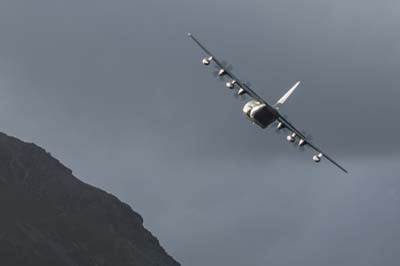 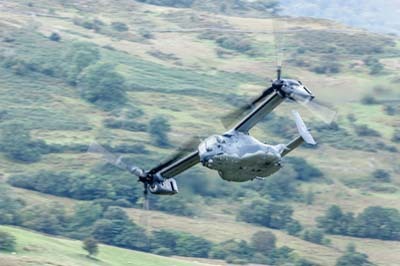 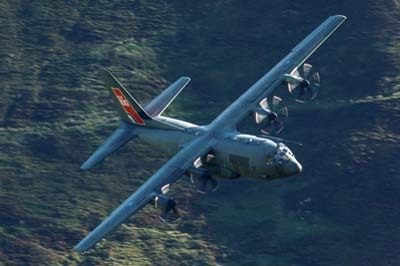 It had routed through Windermere, Kirkstone Pass and turned right for the M6 pass possibly before making its way back to Windermere and then on to Thirlmere making the two minute flight from Windermere in to seven minutes, I had sat down having given up on it. 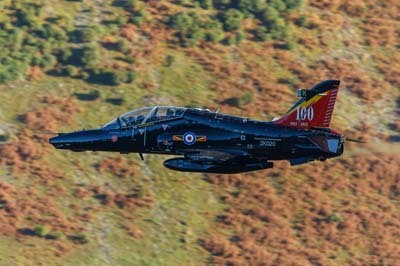 Left to right: Hawk T.1 (XX191 'CC') call sign 'Pirate 09' of 100 Squadron based at RAF Leeming. 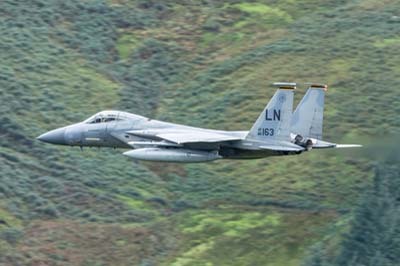 Friday August 31, 2018 A pair of F-15Es which were high and found their own way around the Loop for their second pass (the flight leader passed behind me) was followed later by an RAF C-130J completing a very quiet last day of the week. 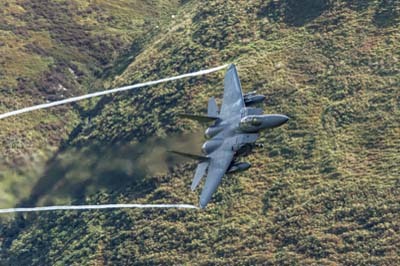 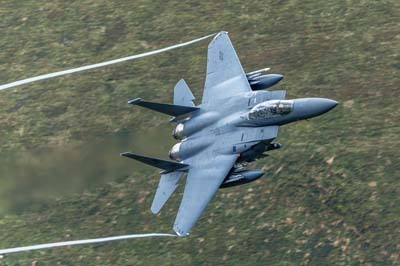 Left to right: F-15E Strike Eagle (96-220 'LN') using callsign 'Ratch 51' with 492 FS, 48 FW. 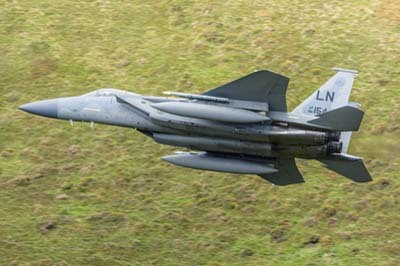 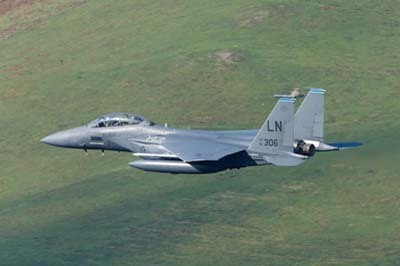 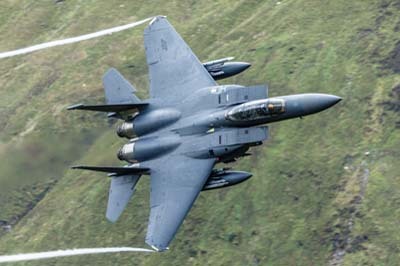 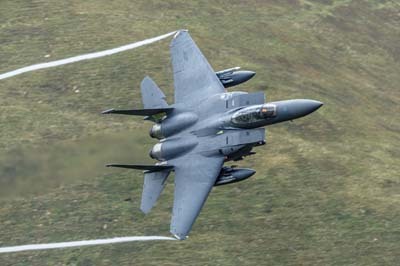 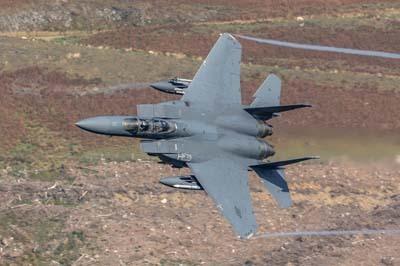 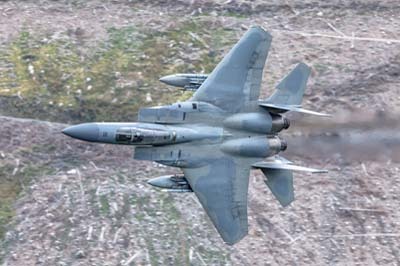 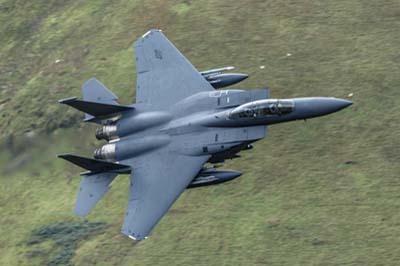 Left to right: F-15E Strike Eagle (01-2004 'LN') using callsign 'Ratch 52' with 492 FS, 48 FW. 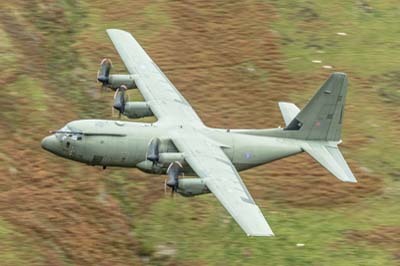 Left to right: C-130J Hercules C.5 (ZH889) of Brize Norton Transport Wing (24/30/47 Squadrons) using callsign 'RRPHD - Ascot 189'. 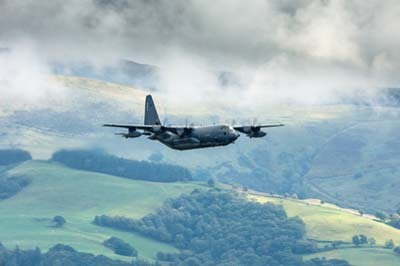 Wednesday August 29, 2018 With a good forecast I set off for Wales, however the Loop can generate its own weather and on arrival the mist enveloped the valley touching the road. 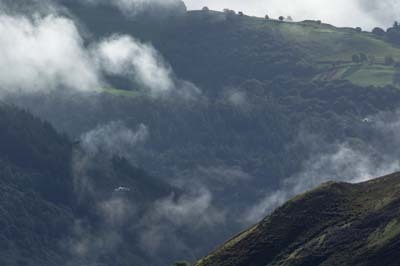 A heavy drizzle continued until the mist suddenly lifted at 11:30. 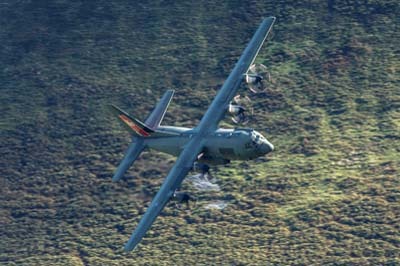 By mid-day it ws bright and the cloud base was 1,500 feet or so. 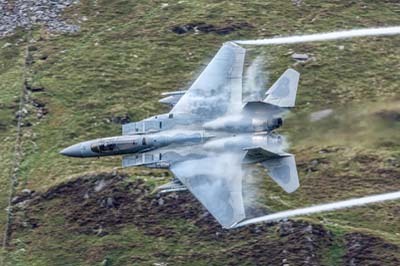 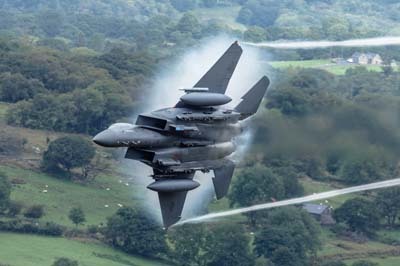 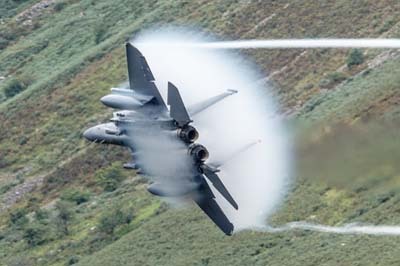 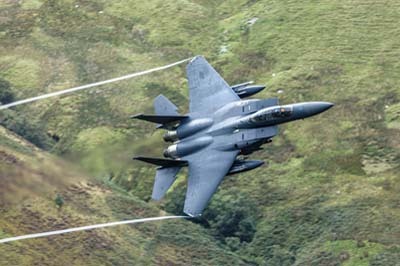 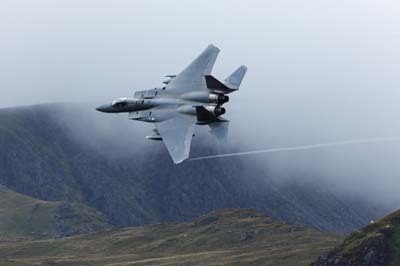 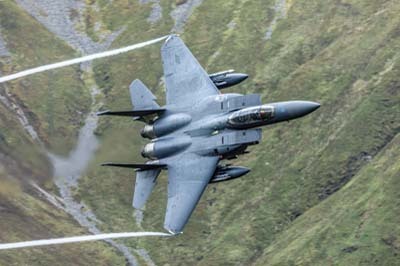 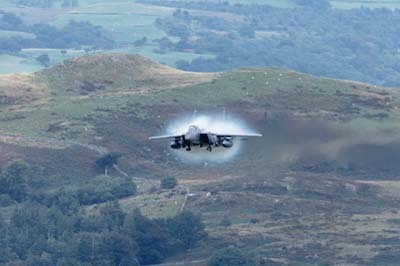 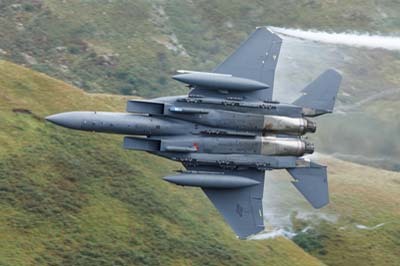 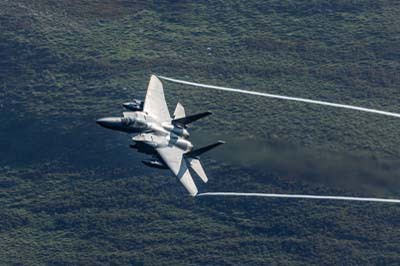 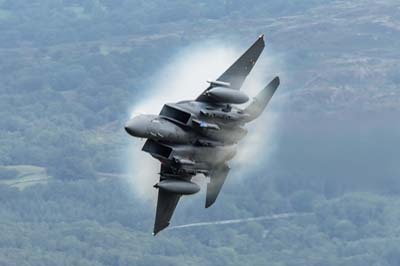 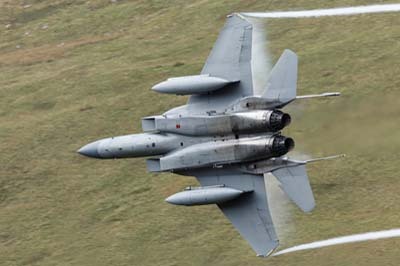 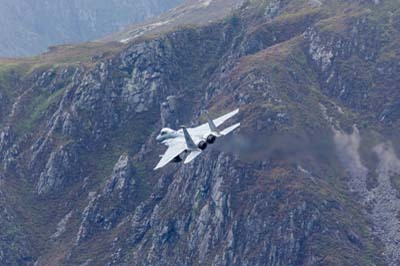 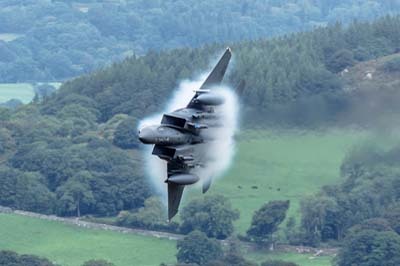 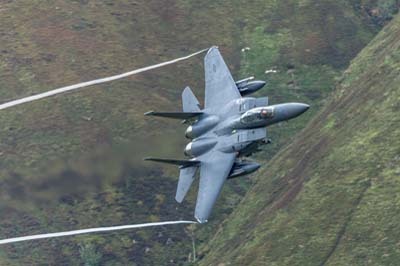 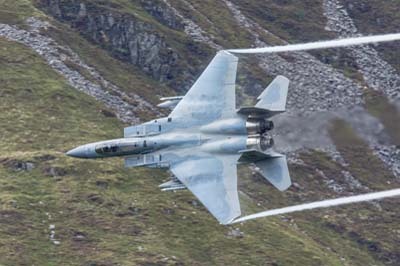 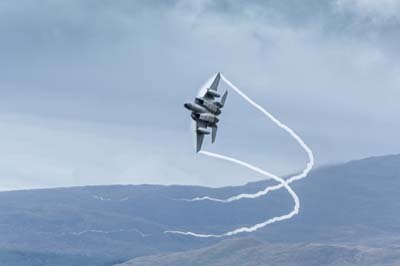 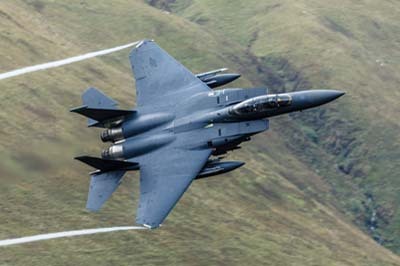 First F-15Es then F-15Cs made passes with each jet generating its own cloud in the very damp air. 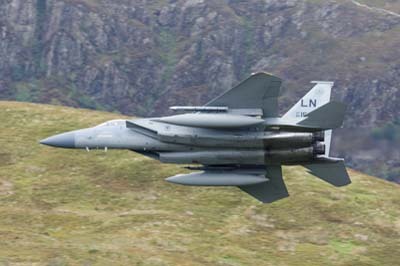 Left to right: F-15E Strike Eagle (98-134 'LN') using callsign 'Rico 51' in the colours (blue fin tip) of 492 FS, 48 FW. 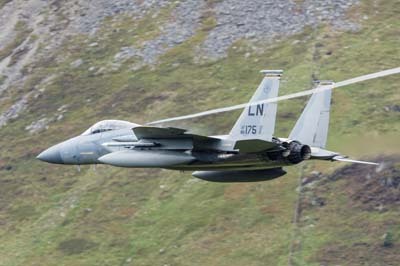 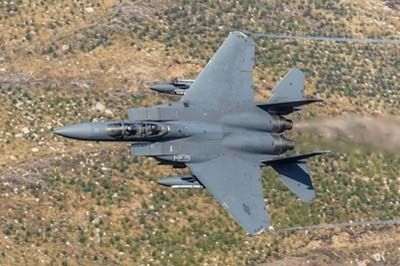 F-15E Strike Eagle (96-202 'LN') using callsign 'Rico 52'. 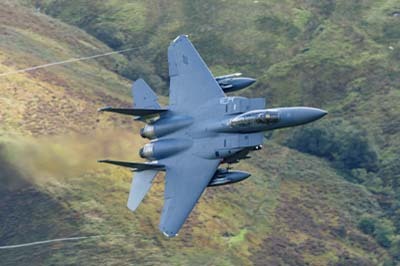 Left to right: F-15E Strike Eagle (96-202 'LN') using callsign 'Rico 52' in the colours (blue fin tip) of 492 FS, 48 FW. 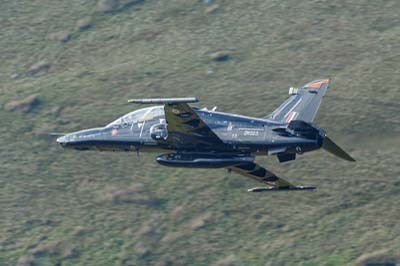 Left to right: Hawk T.2 (ZK014 'E') with IV(AC) Squadron. 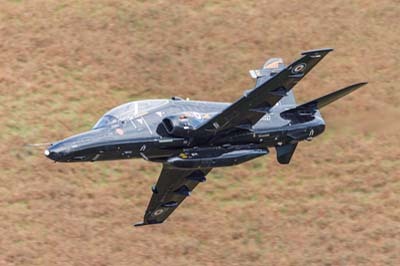 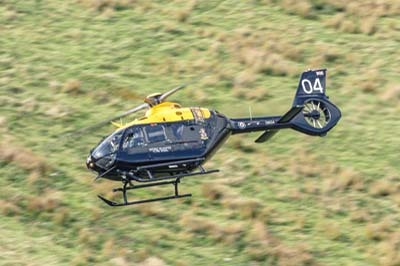 Juno HT.1 (ZM504 '04') operated by Defence Helicopter School DHFS based at RAF Shawbury. 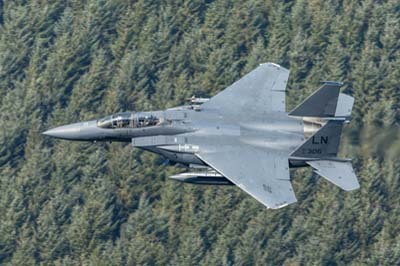 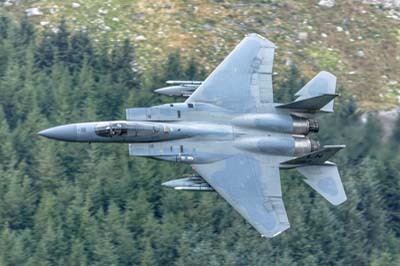 Left to right: F-15C Eagle (86-154 'LN' and 86-175 'LN') using callsign 'Pistol 11-12' of 493 FS, 48 FW. 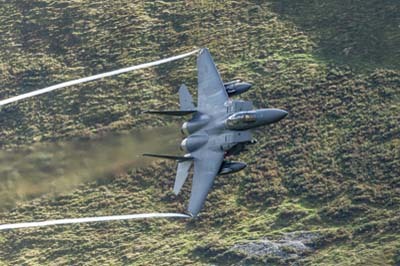 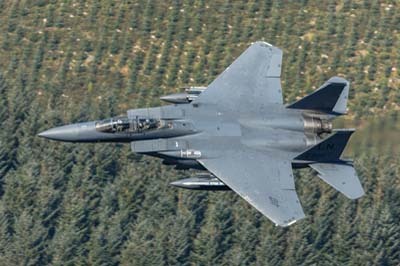 Left to right: F-15C Eagle (86-154 'LN') using callsign 'Pistol 11' of 493 FS, 48 FW. 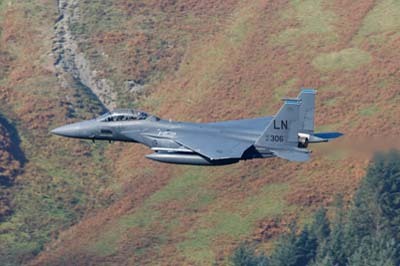 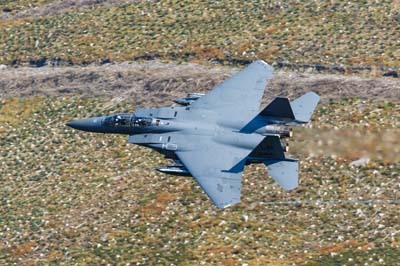 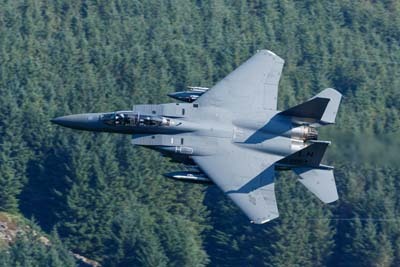 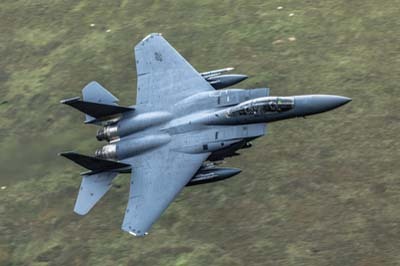 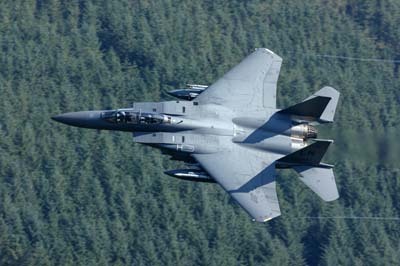 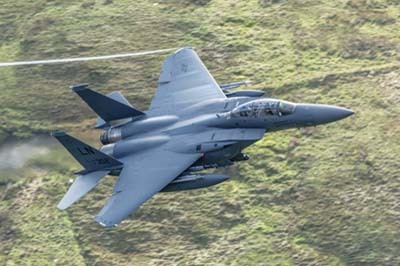 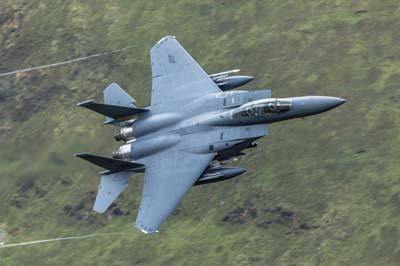 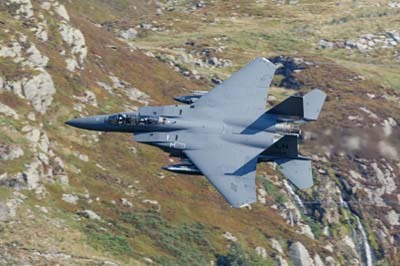 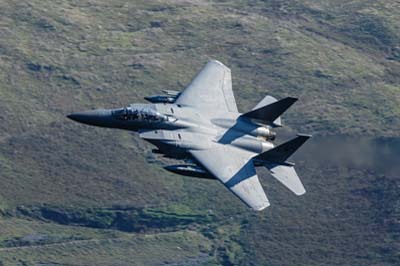 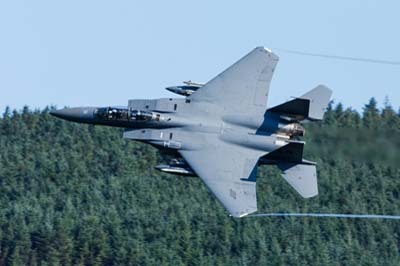 F-15C Eagle (84-001 'LN') using callsign 'Pistol 13' of 493 FS, 48 FW. 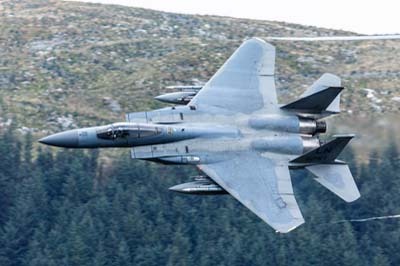 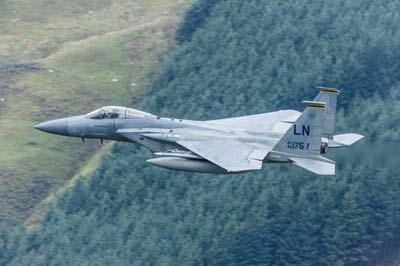 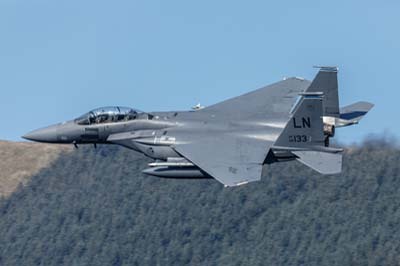 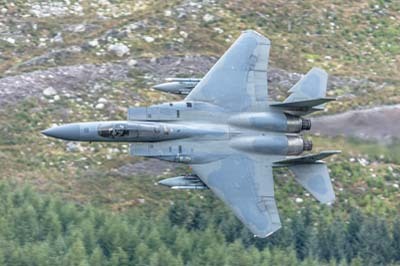 Left to right: F-15C Eagle (84-001 'LN' and 86-166 'LN') using callsign 'Pistol 13-14' of 493 FS, 48 FW. 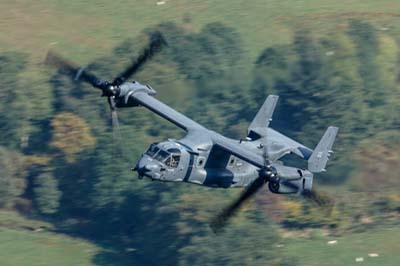 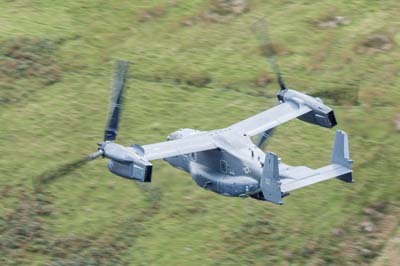 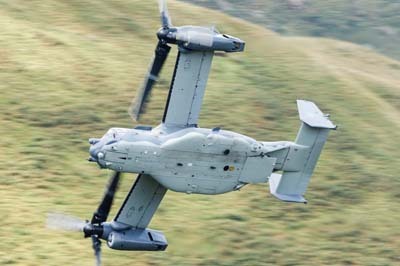 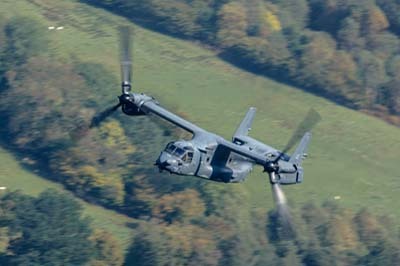 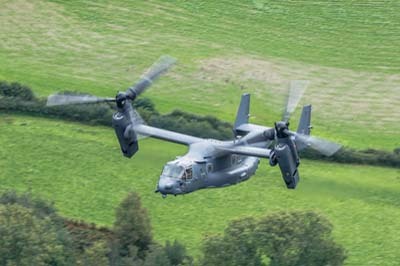 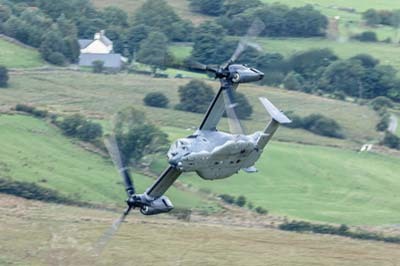 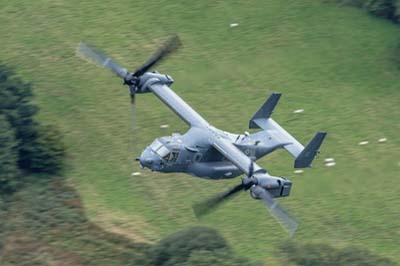 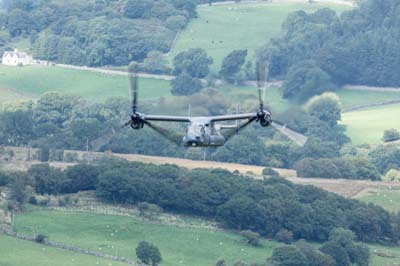 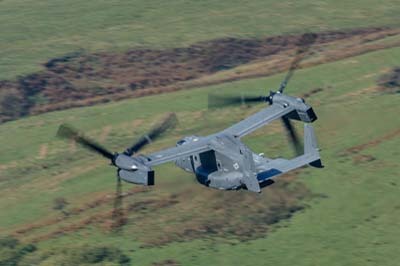 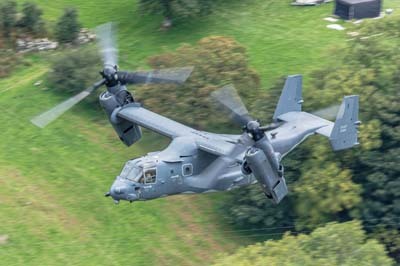 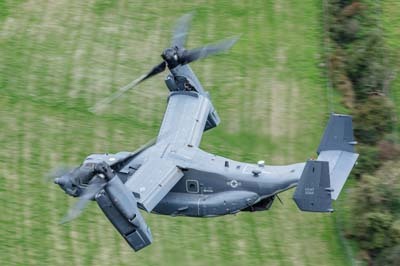 Left to right: Bell CV-22B Osprey (12-0063) using callsign 'Knife 71' from the 7th Special Operations based at RAF Mildenhall. 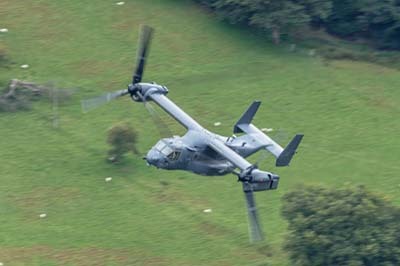 Left to right: Bell CV-22B Osprey (12-0063) using callsign 'Knife 71' from the 7th Special Operations. 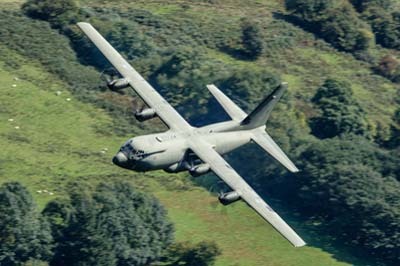 Departing Mildenhall it went west through the Daventry corridor before dropping in to low level near Hereford before flying north bound for the Loop. 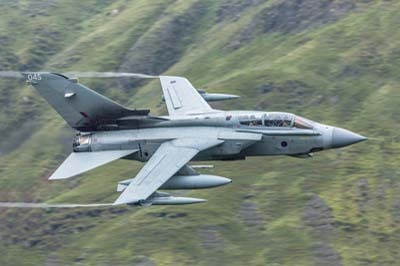 Tuesday August 21, 2018 Dull and slow. 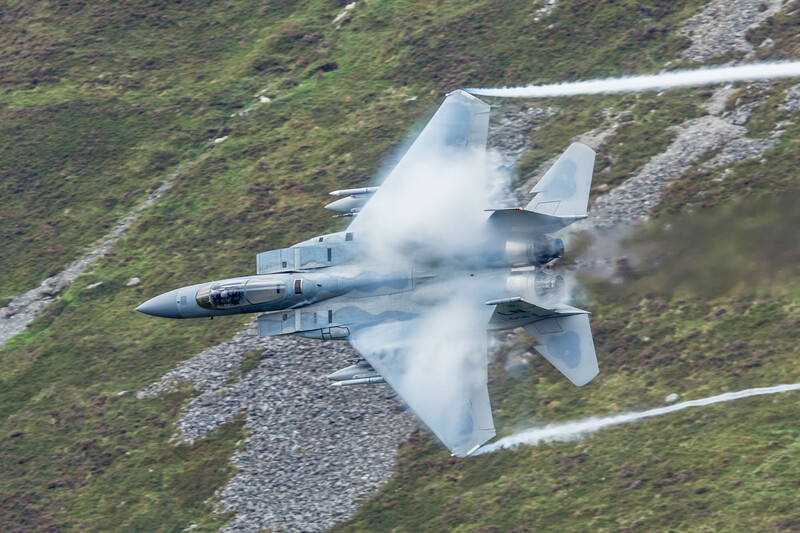 The only two passes came after the mist had lifted after lunch. 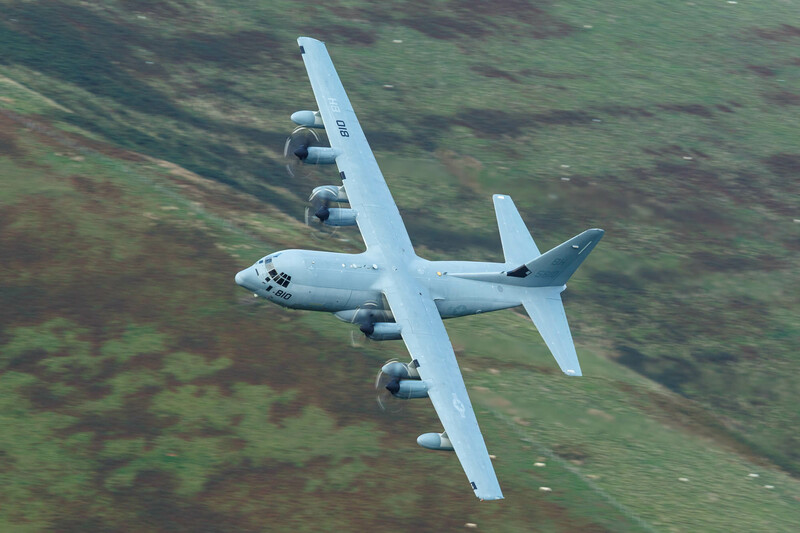 Left to right: MC-130J Hercules (11-5731) using callsign 'Strix 38' with 67th SOS, 352 SOW based at RAF Mildenhall. 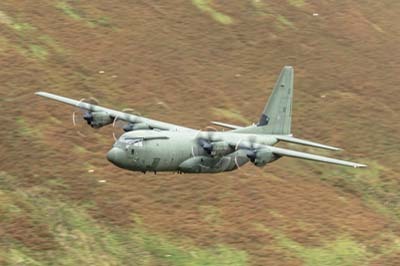 Left to right: MC-130J Hercules (11-5731) using callsign 'Strix 38' with 67th SOS, 352 SOW based at RAF Mildenhall, second pass. 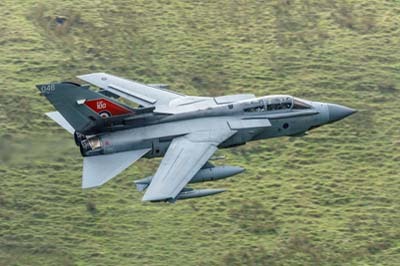 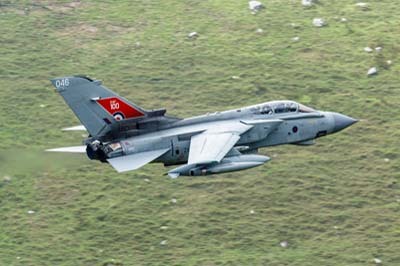 Left to right: Tornado GR.4 (ZA554 '046') with RAF 100 'sticker' using callsign 'Marham 27'.